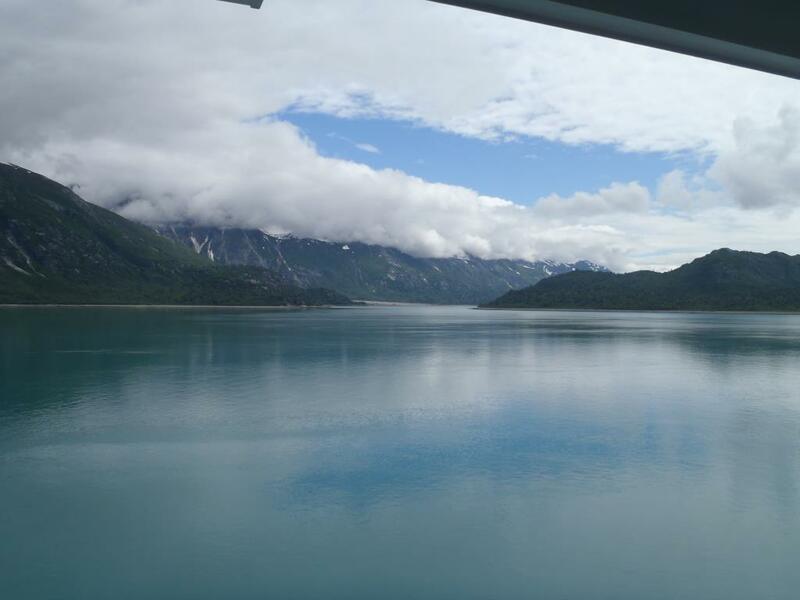 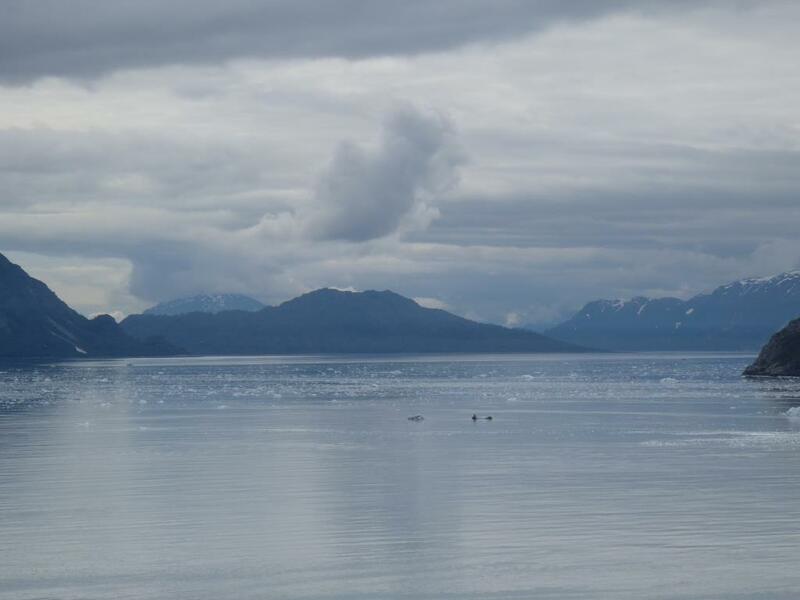 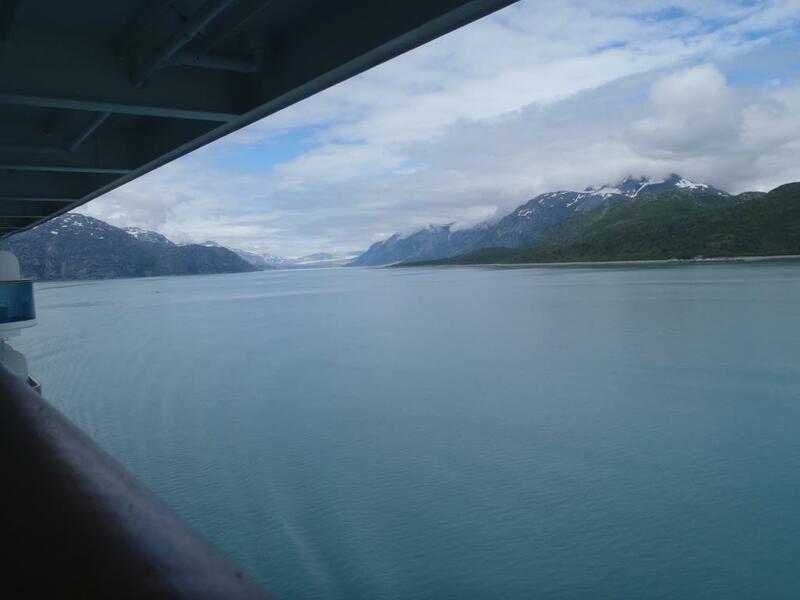 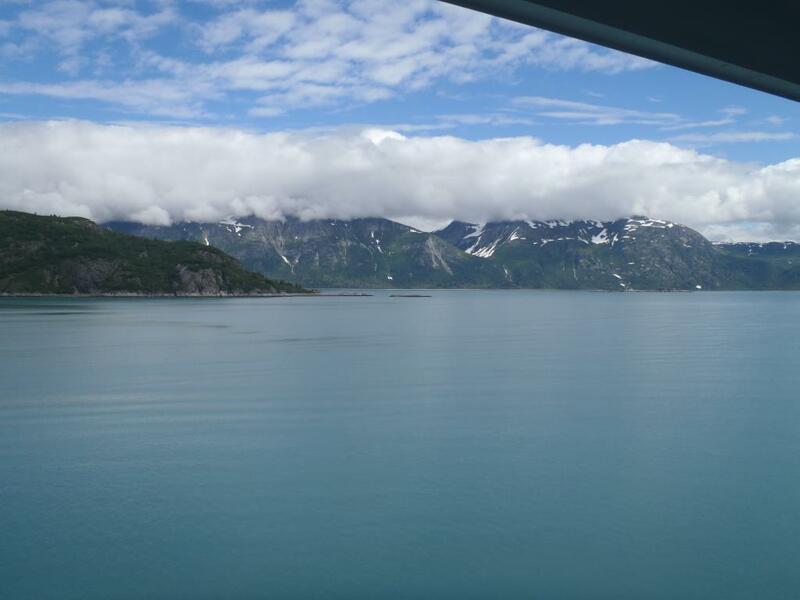 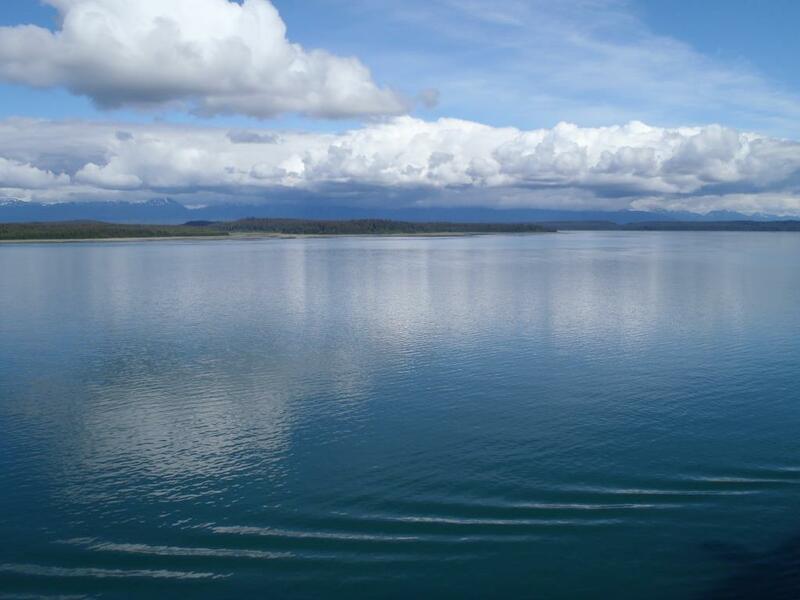 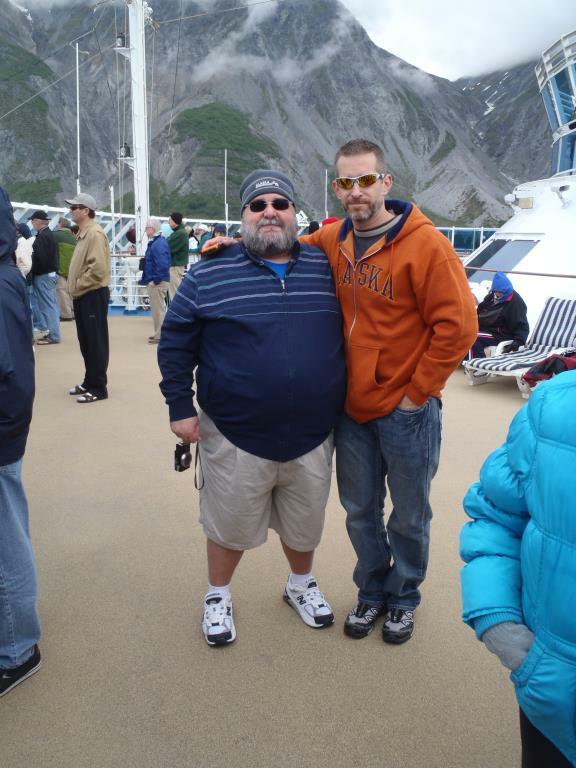 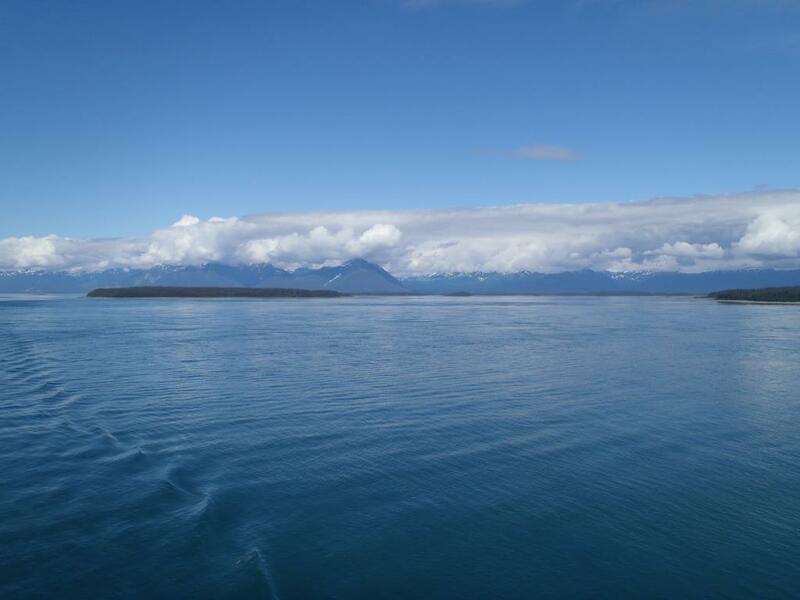 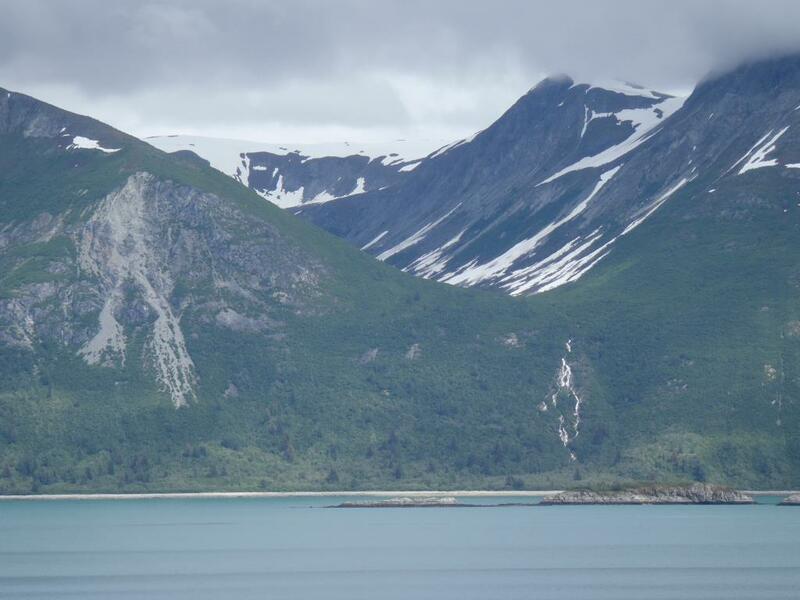 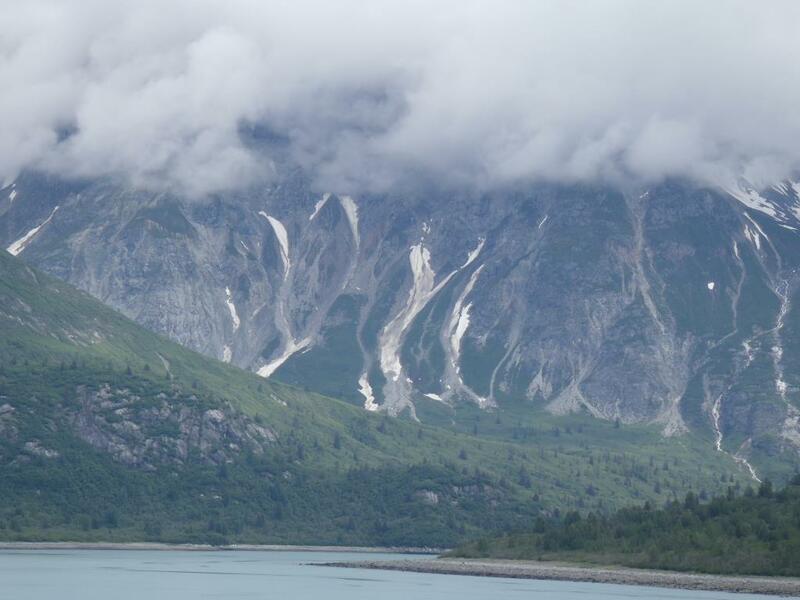 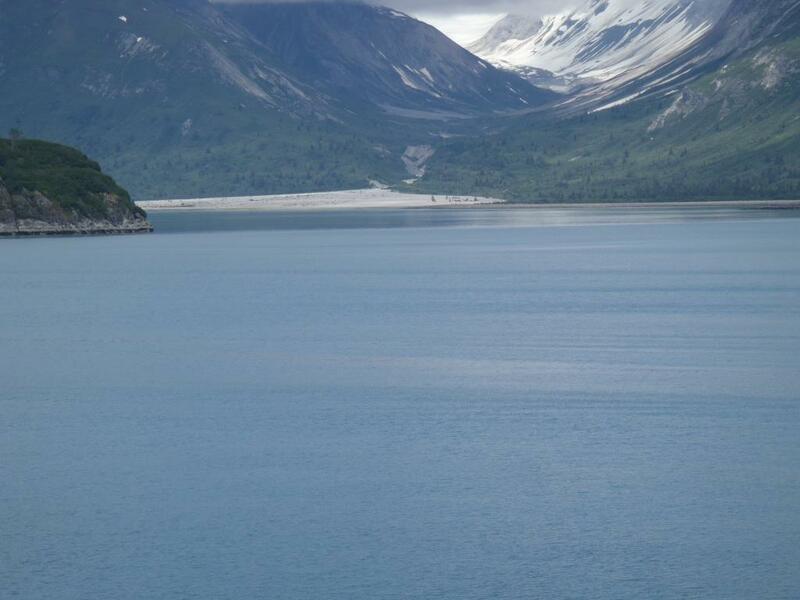 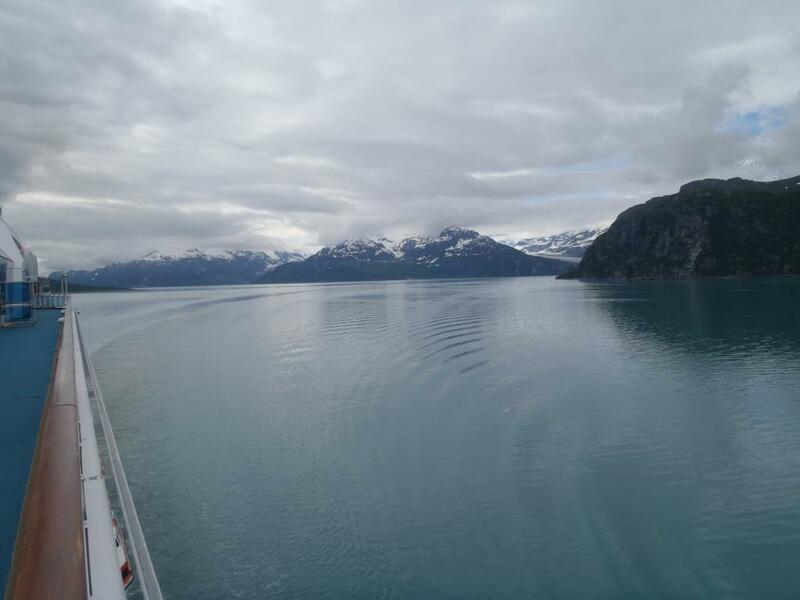 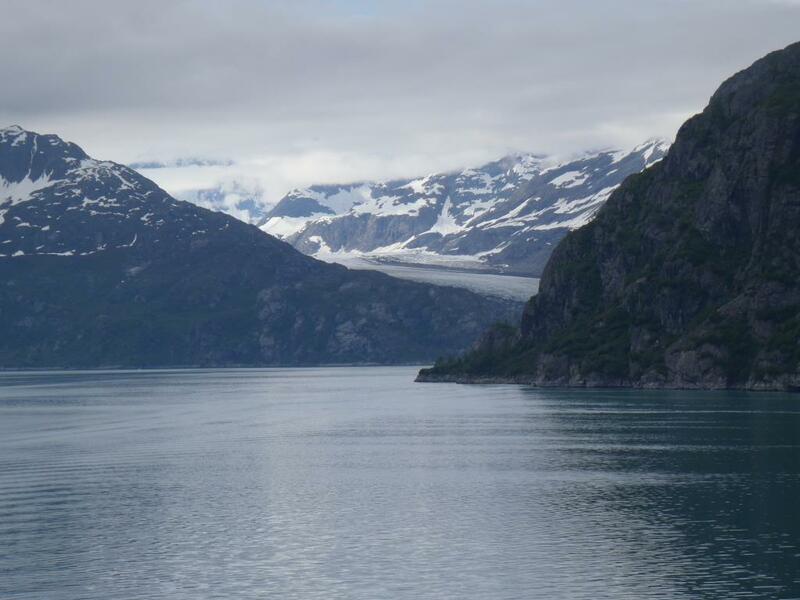 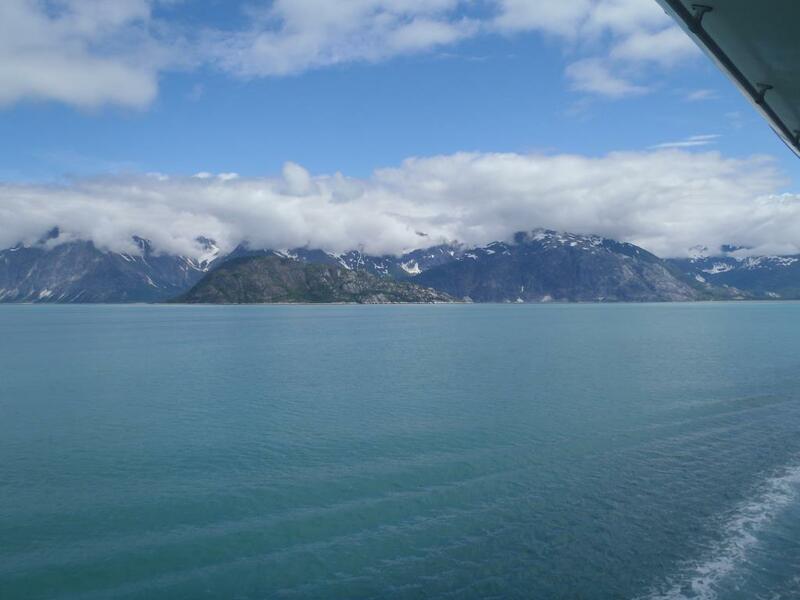 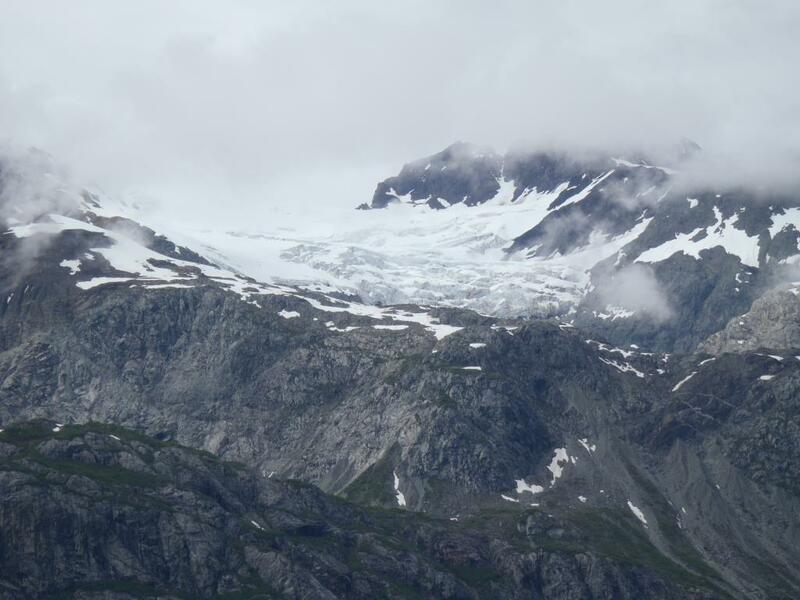 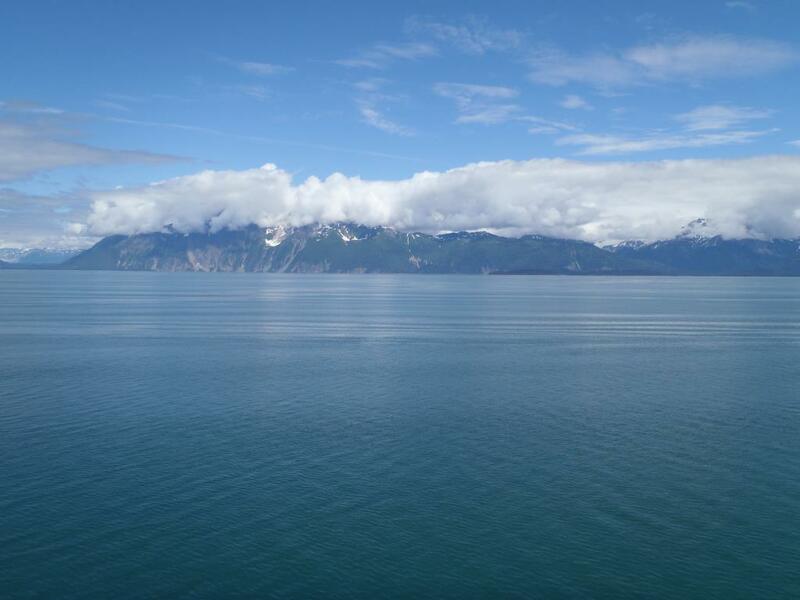 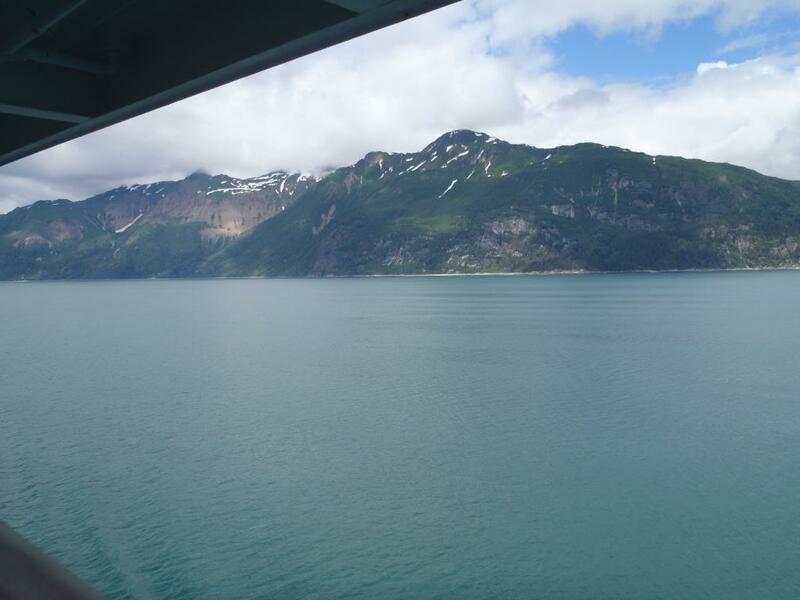 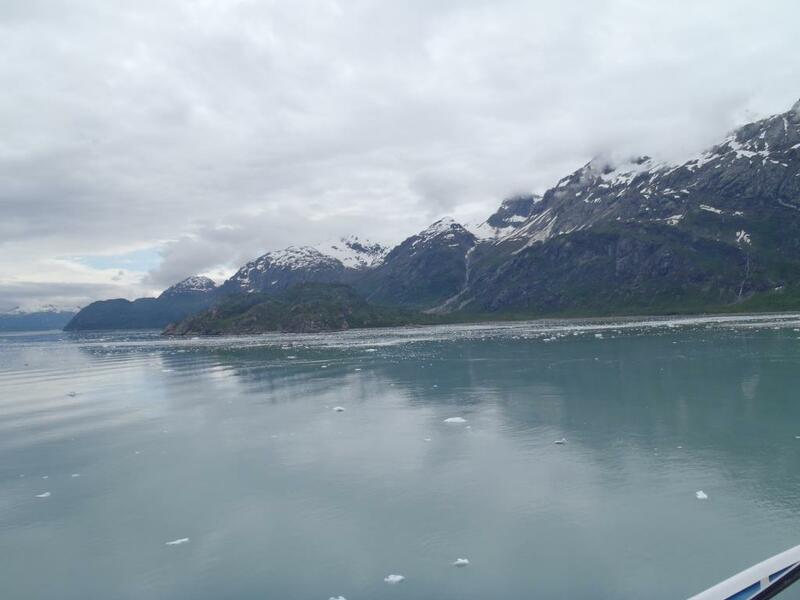 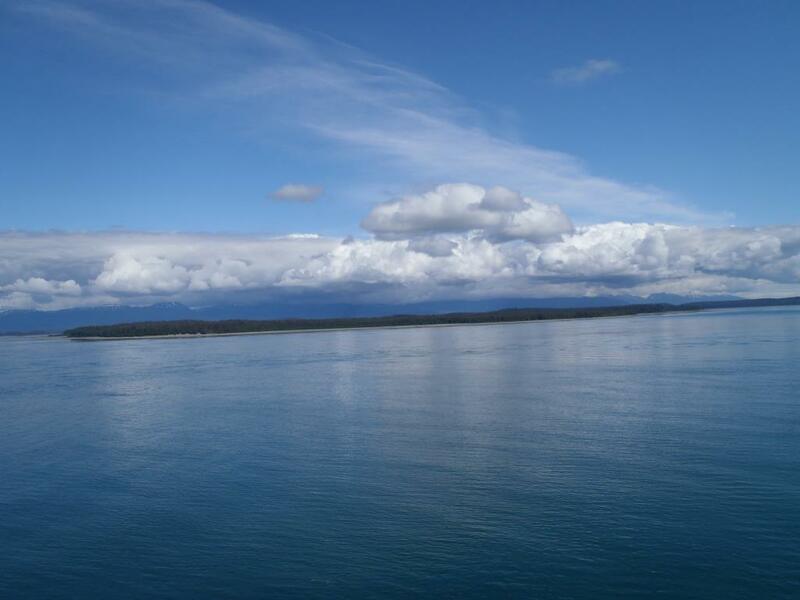 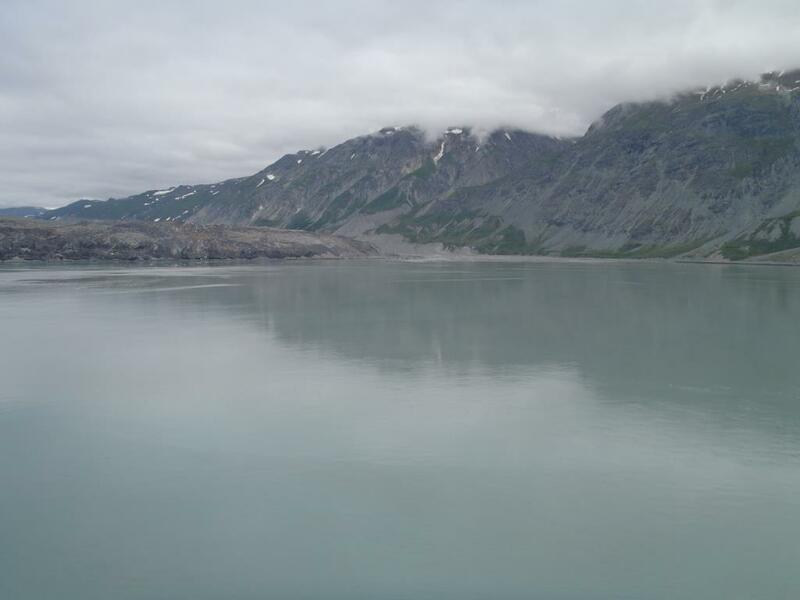 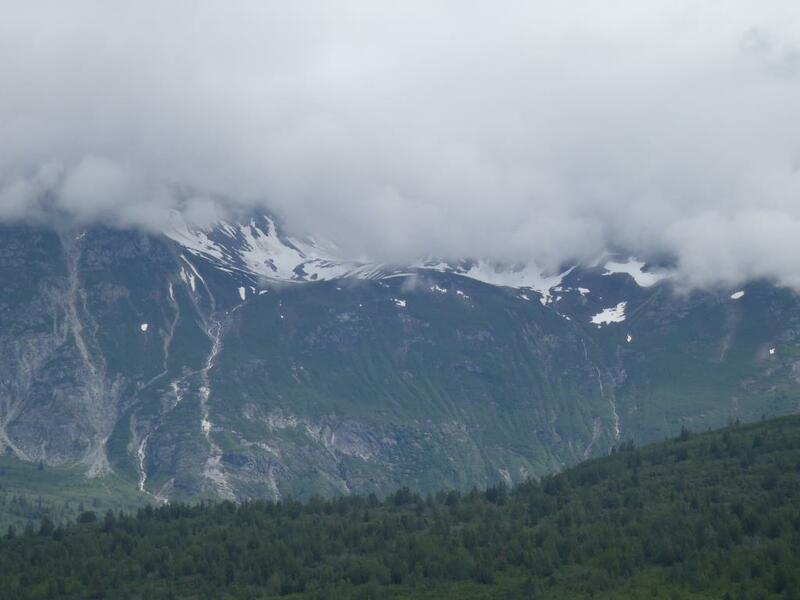 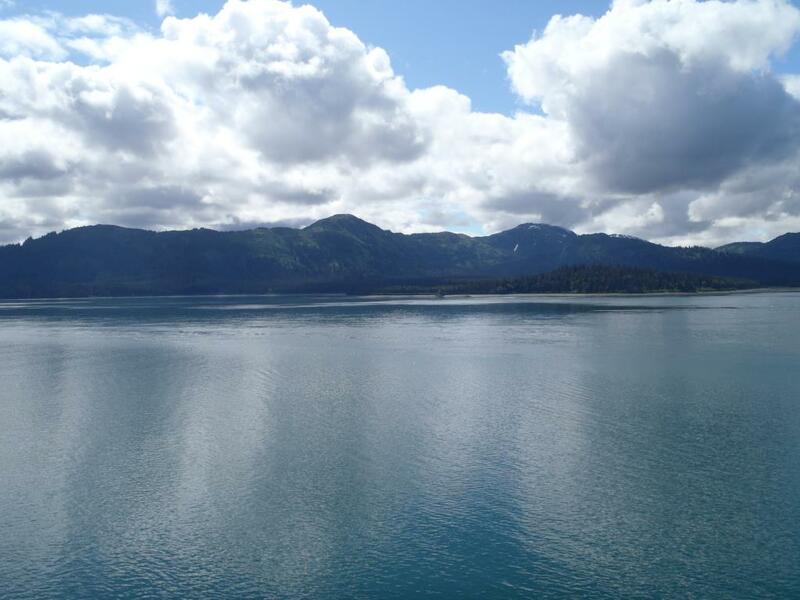 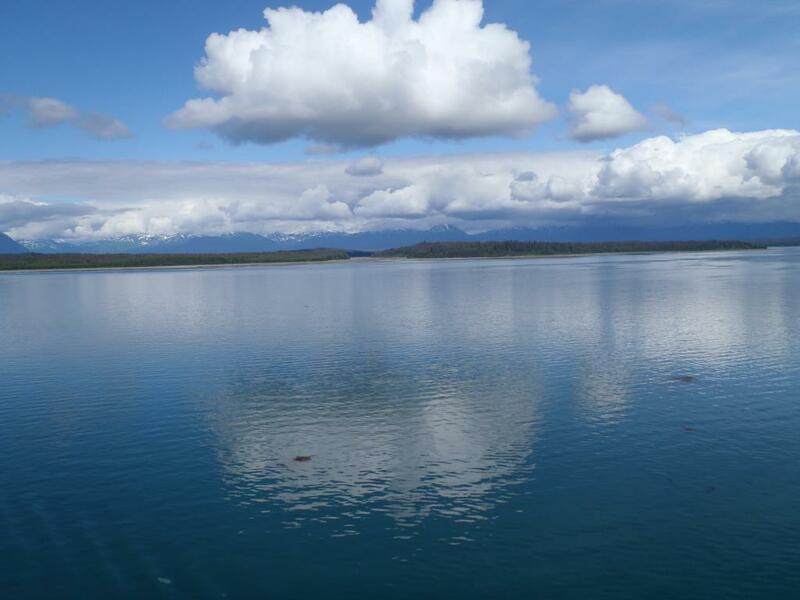 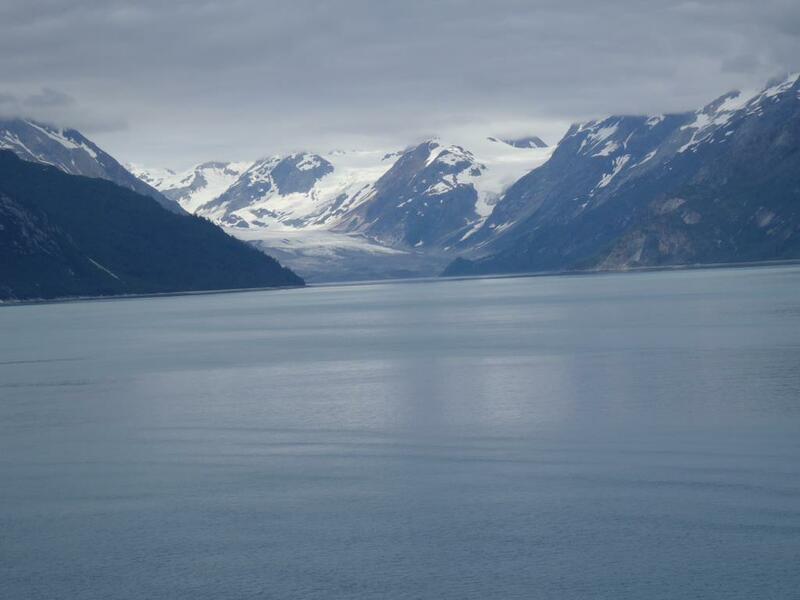 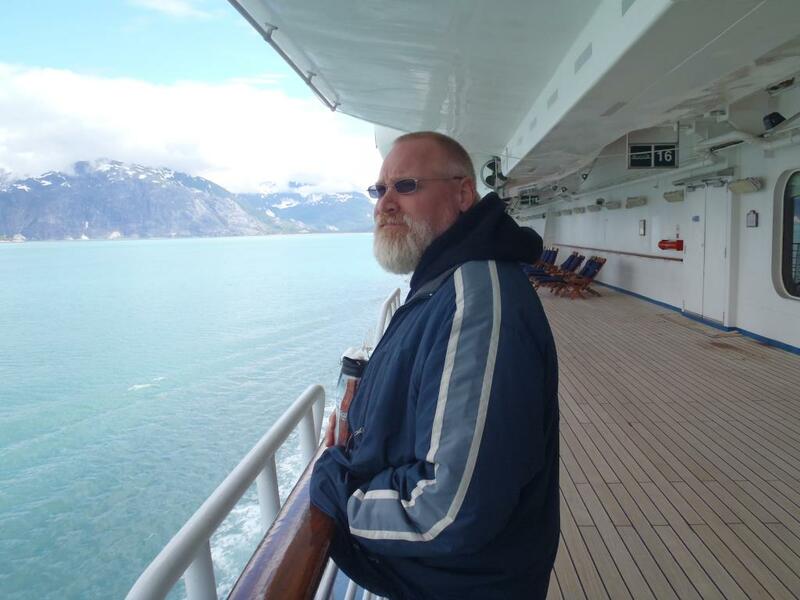 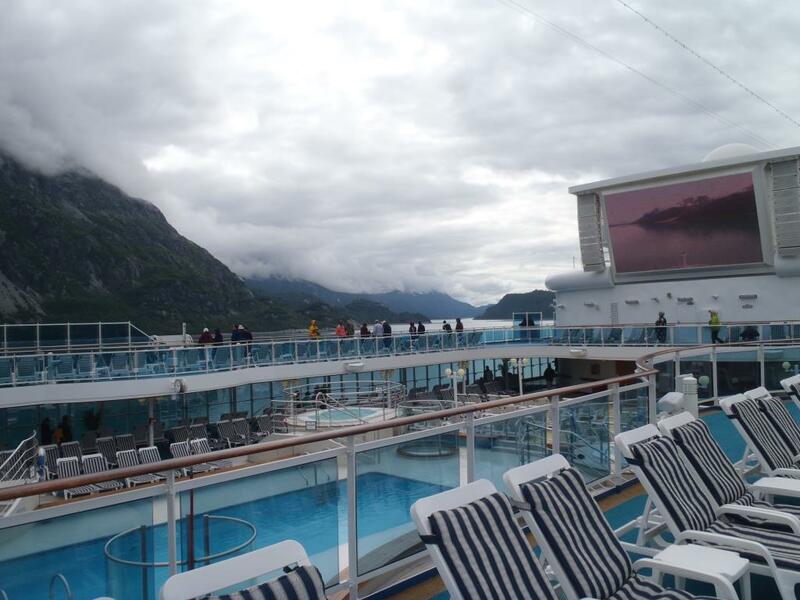 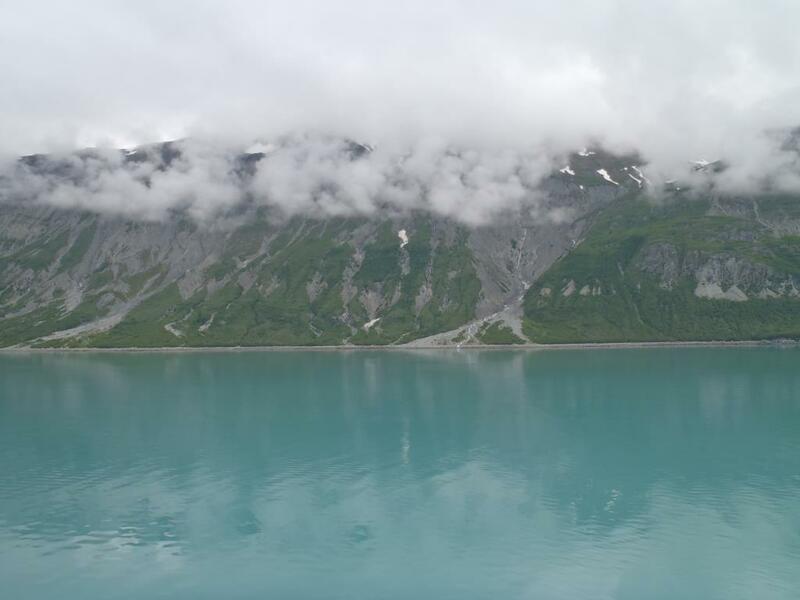 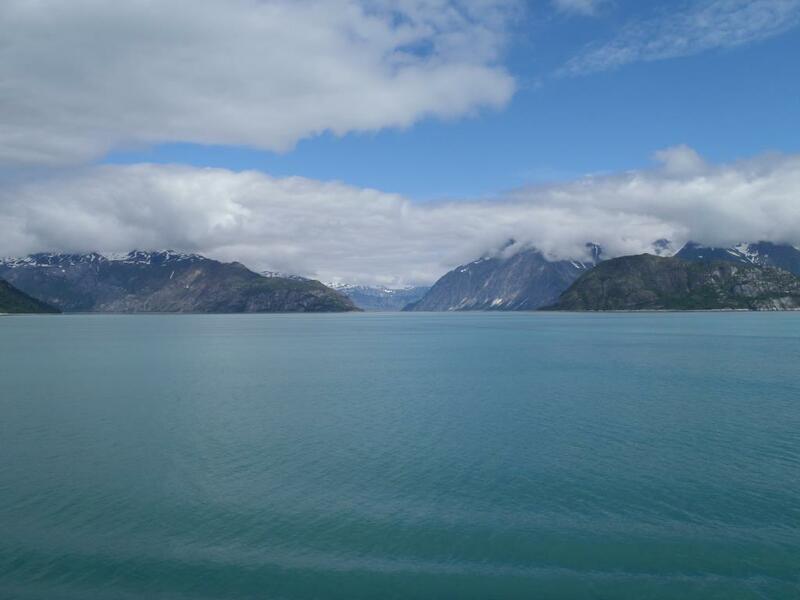 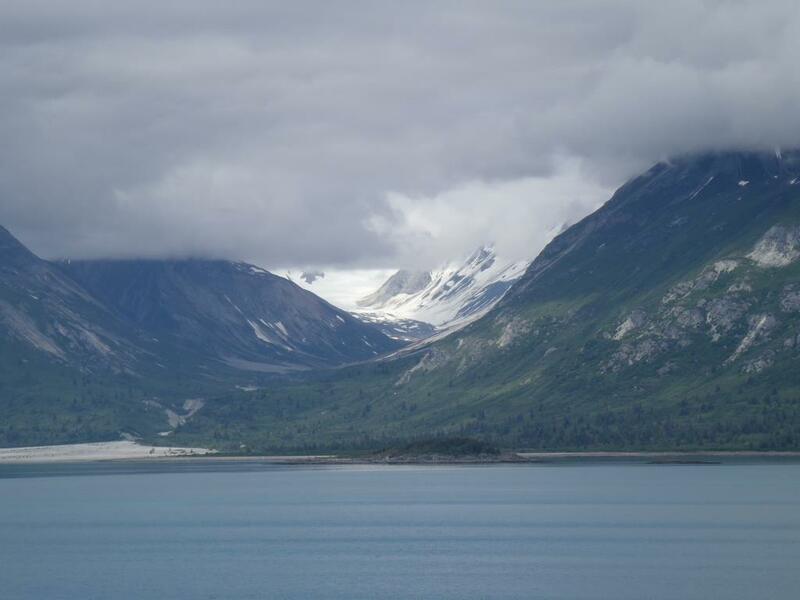 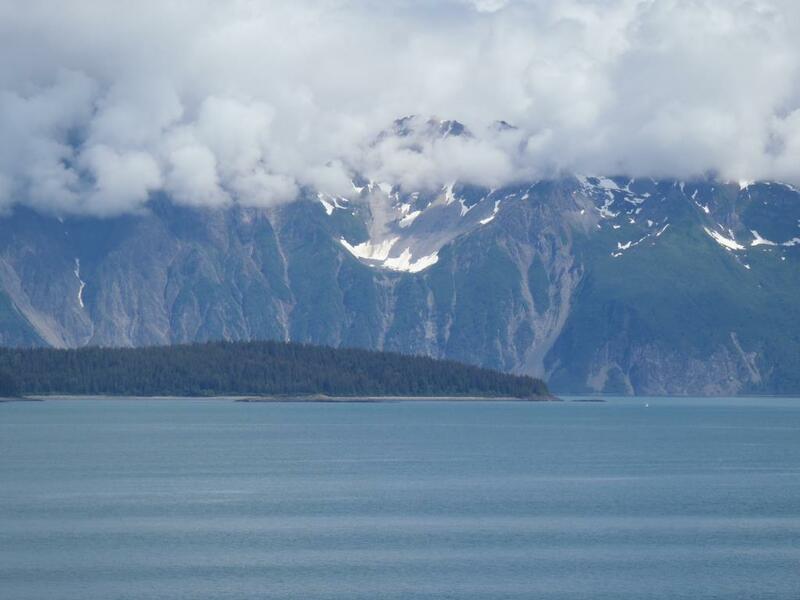 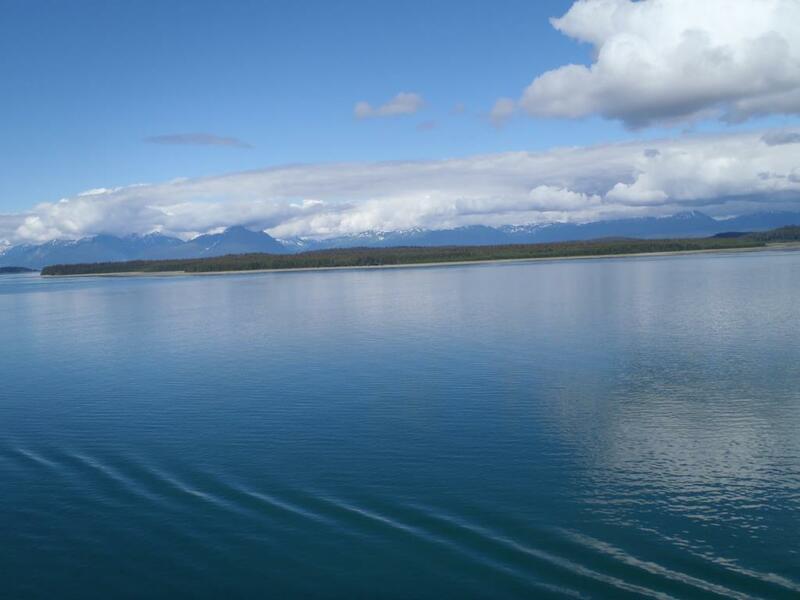 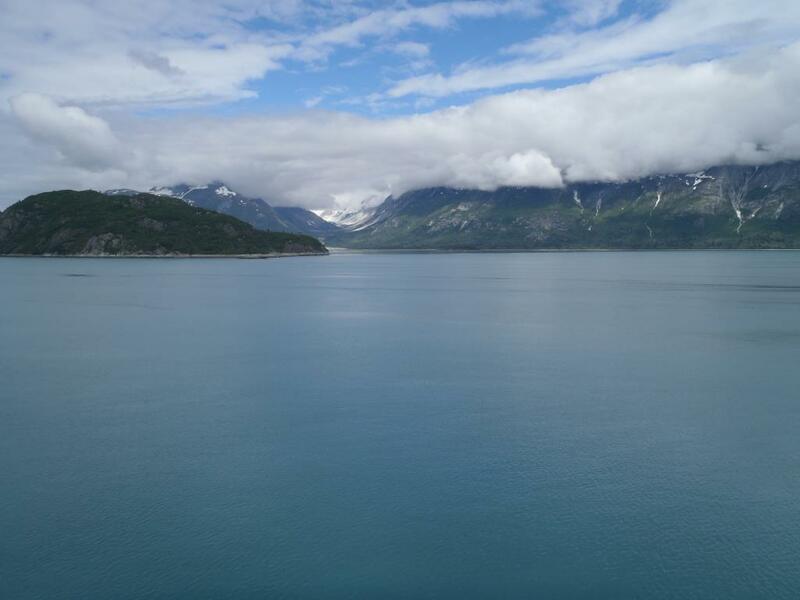 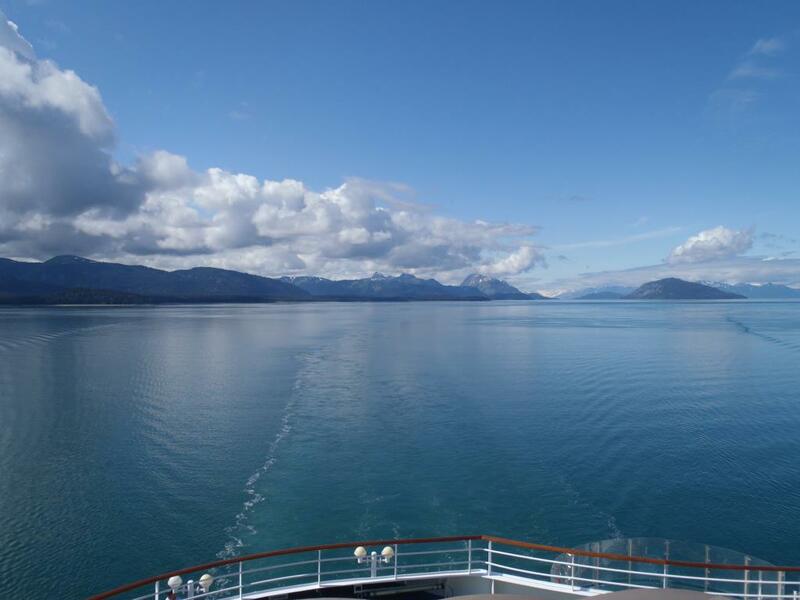 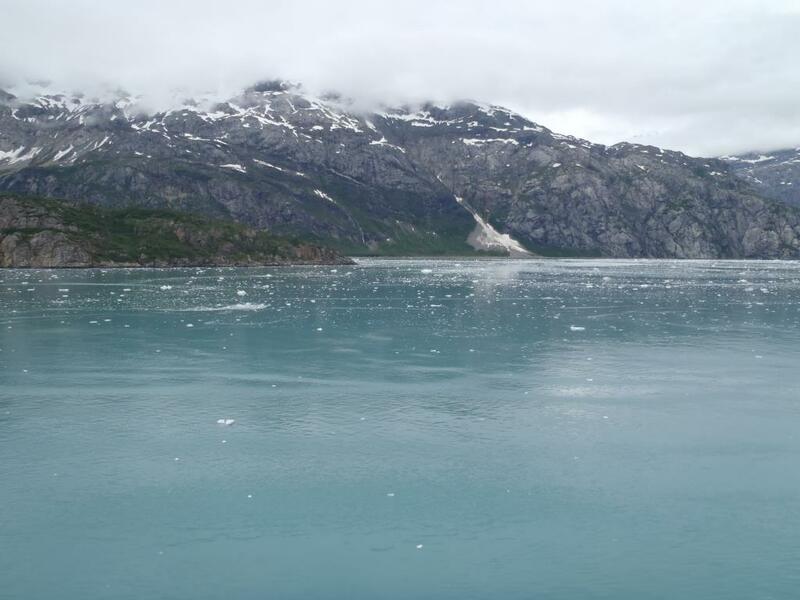 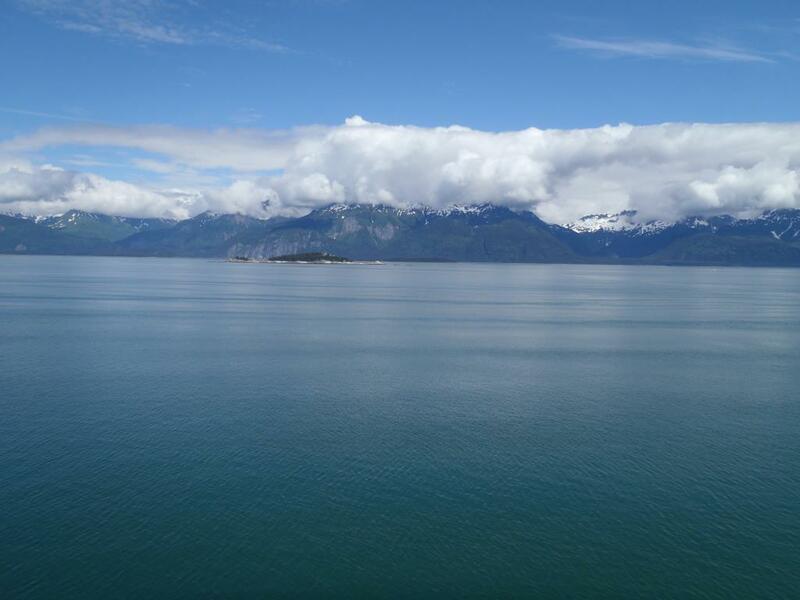 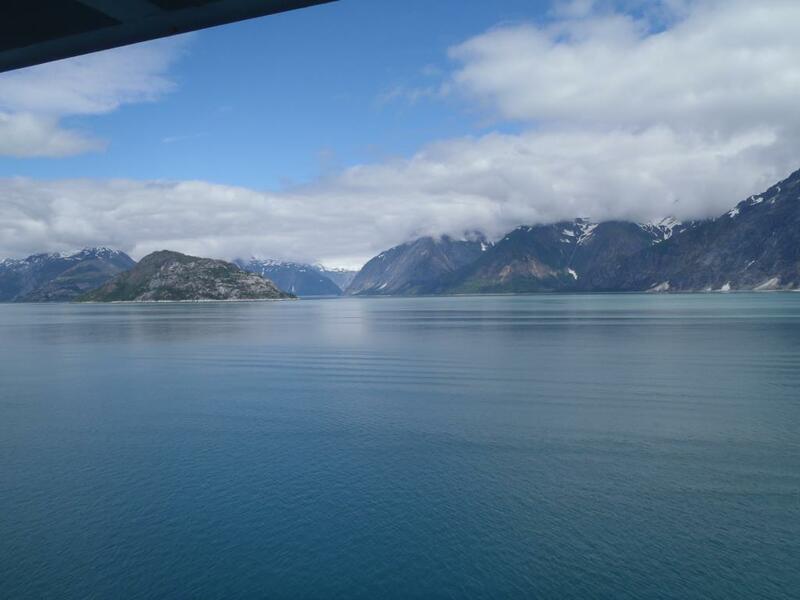 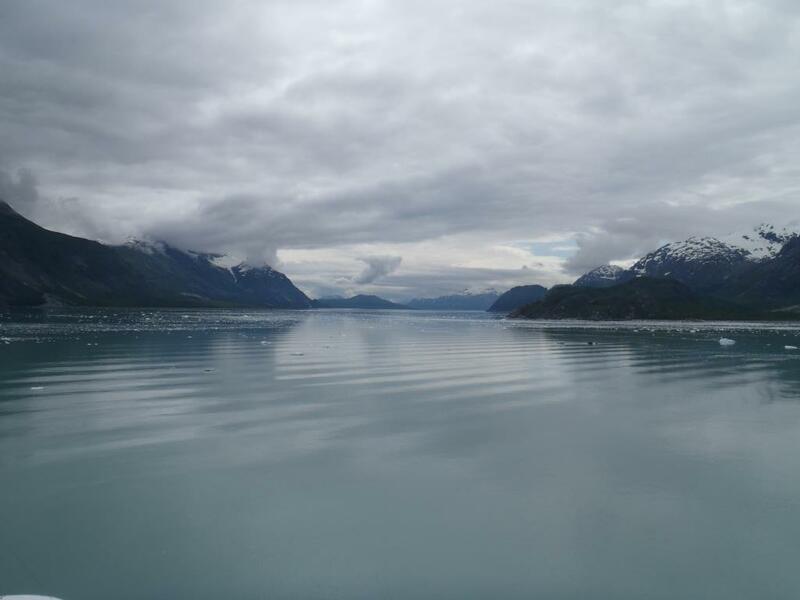 Today was the first of two days of scenic cruising, today being a visit to the Glacier Bay National Park and Preserve. 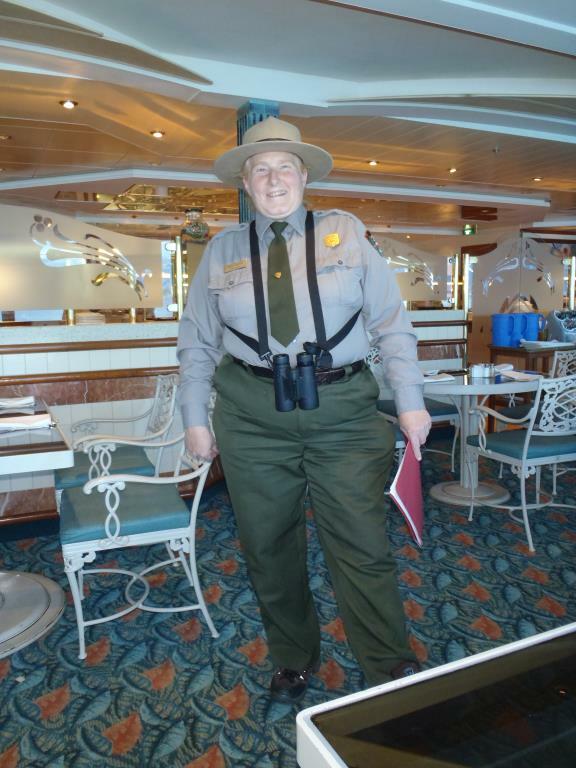 Before entering the bay, the ship stopped to pick up a team of park rangers. 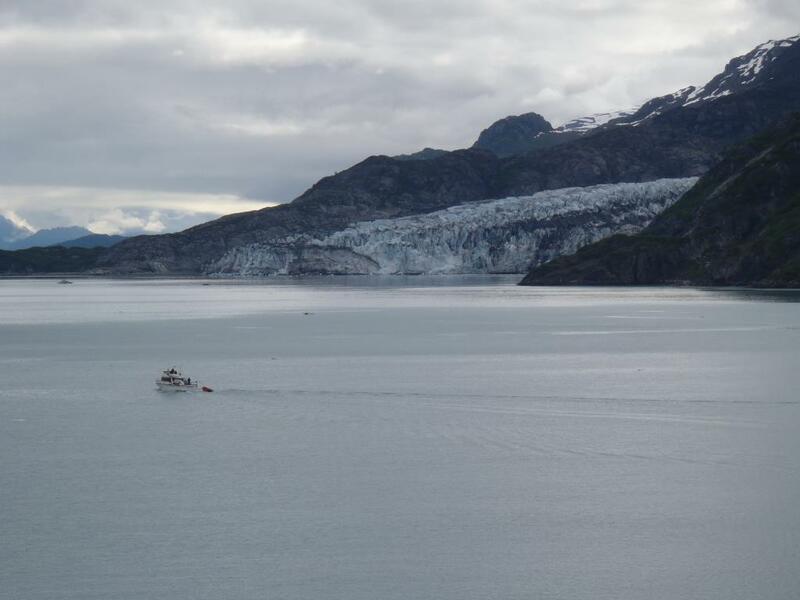 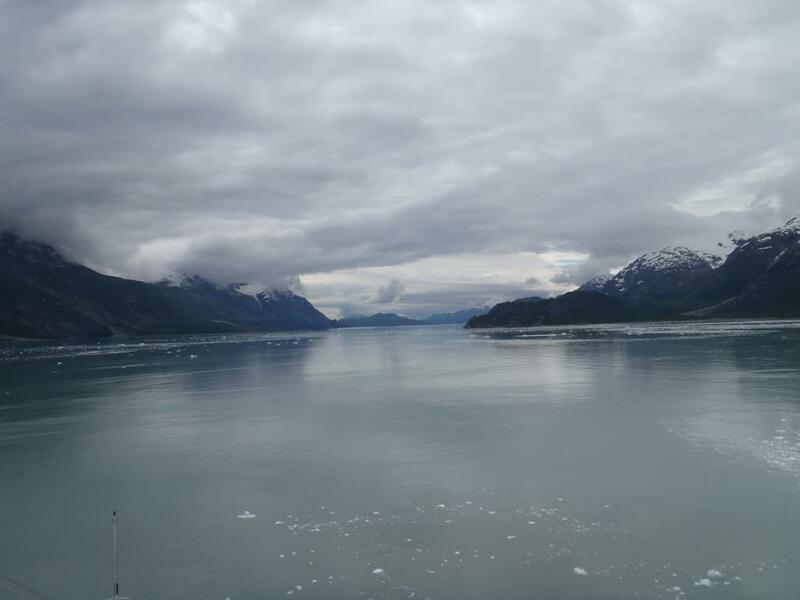 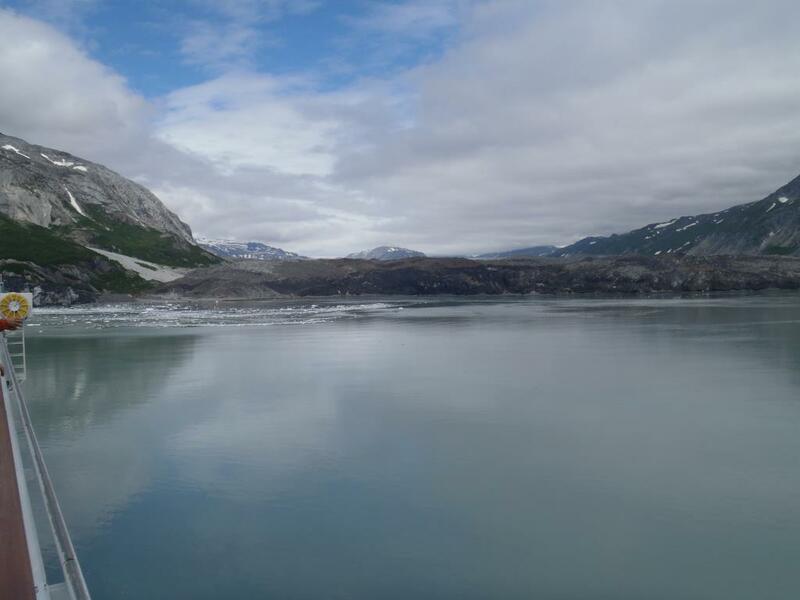 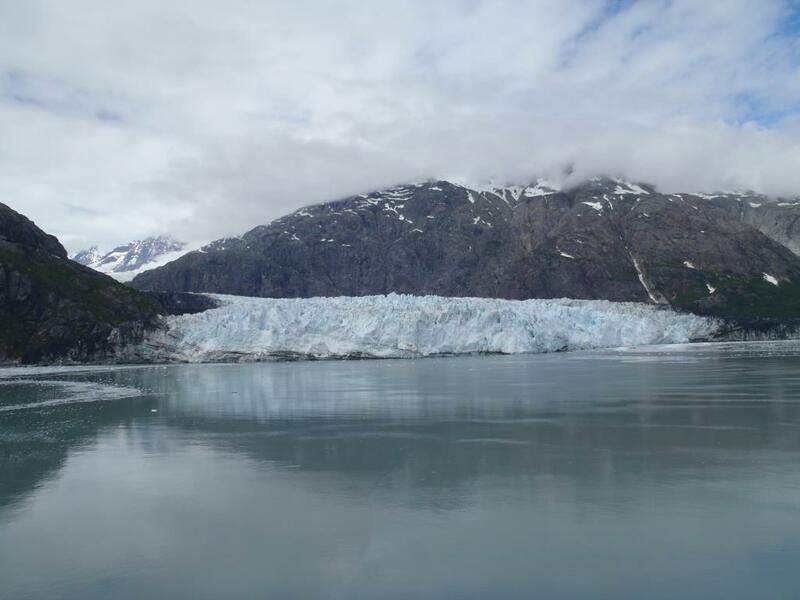 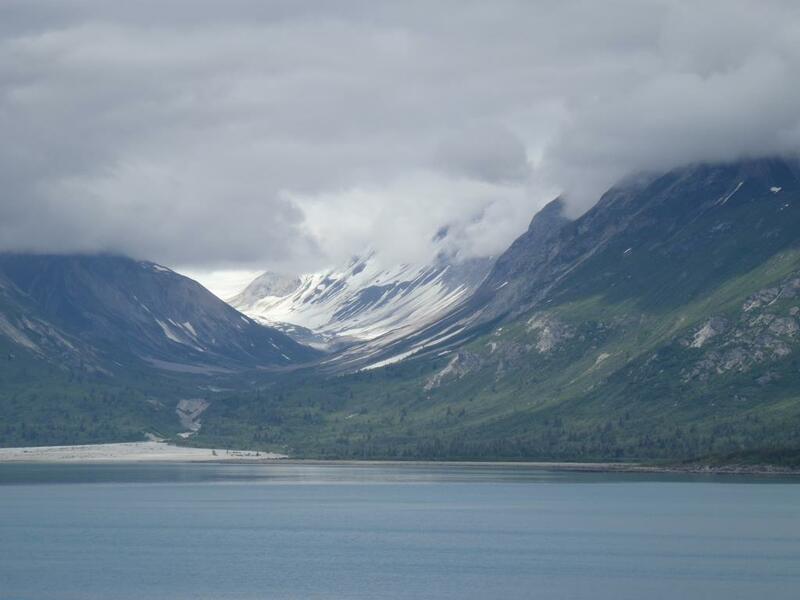 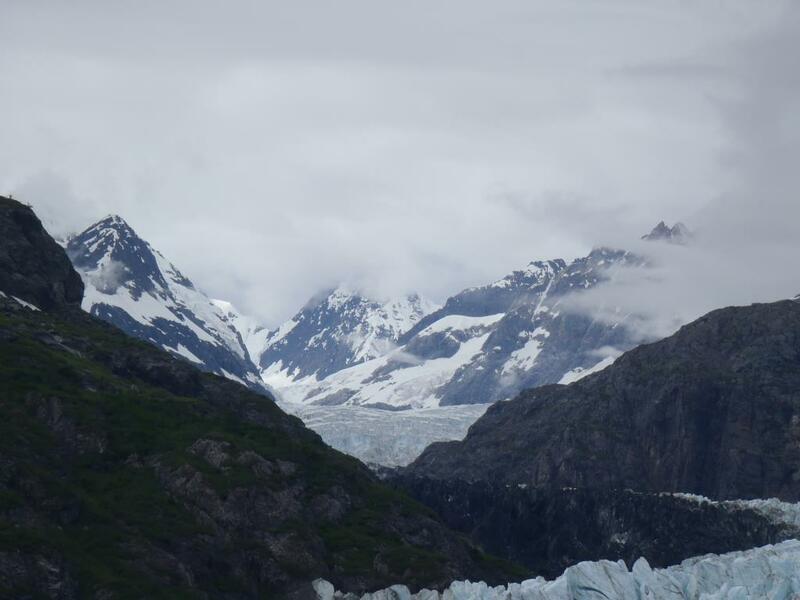 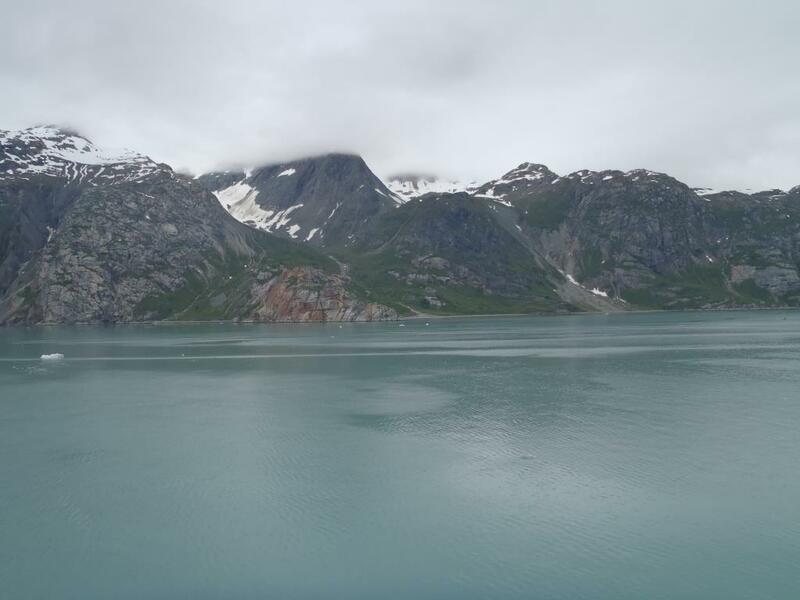 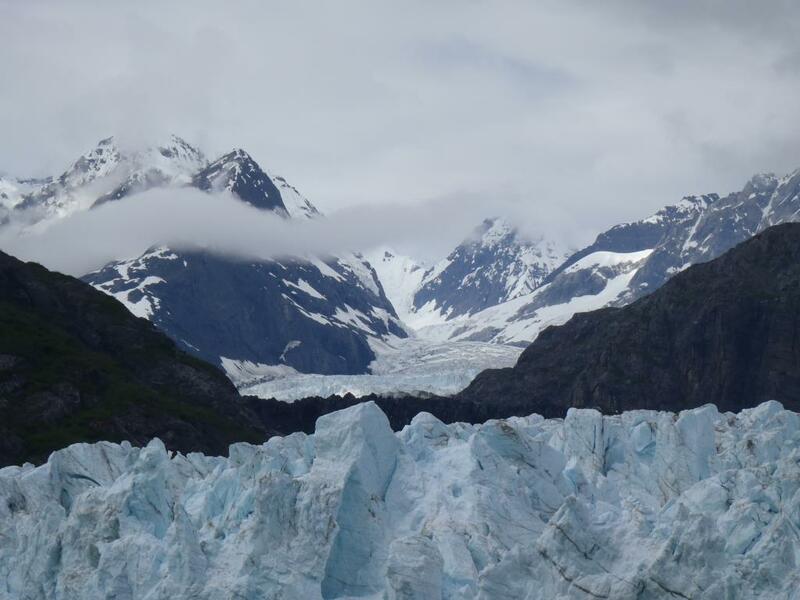 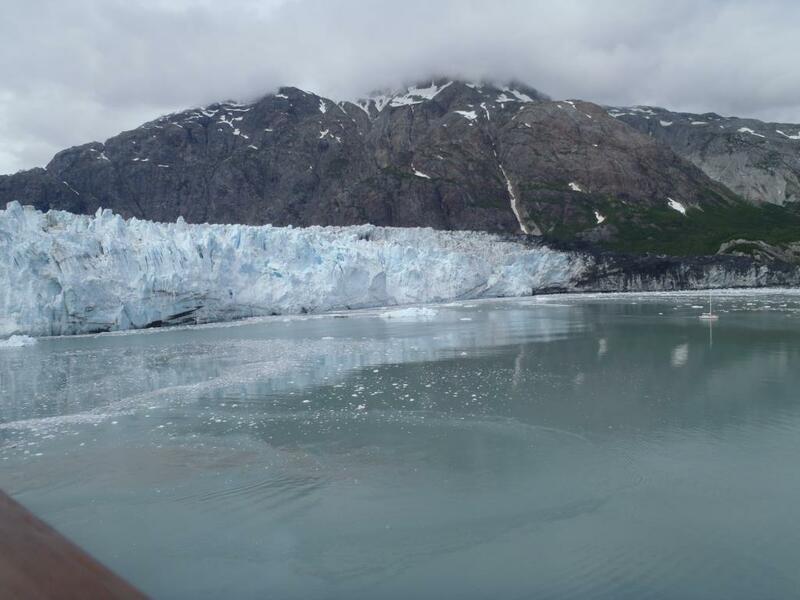 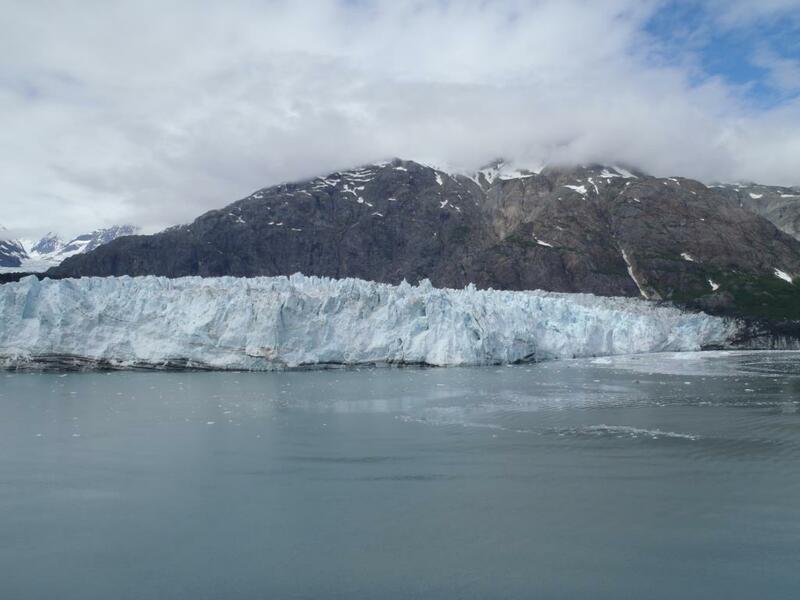 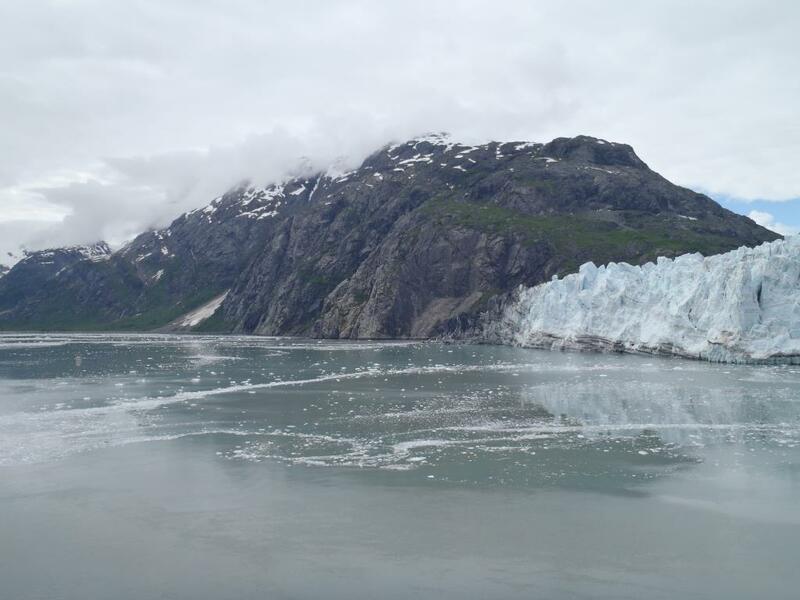 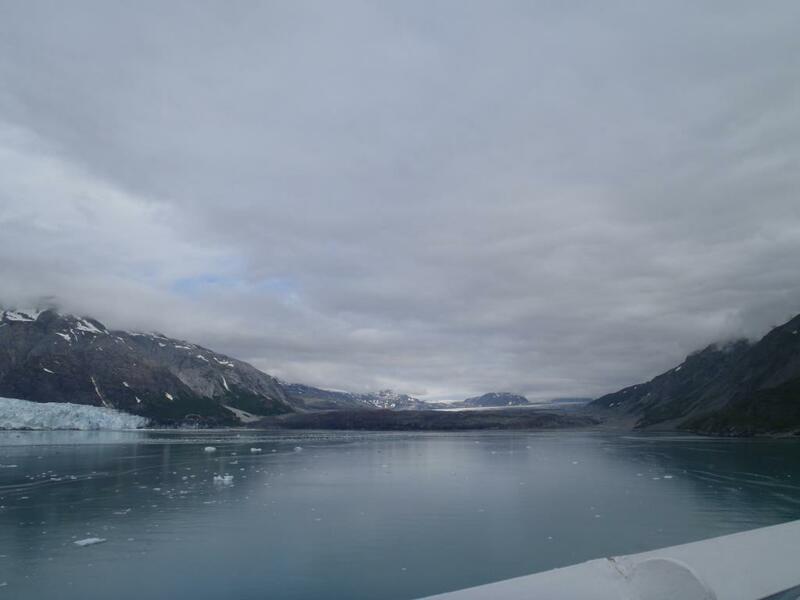 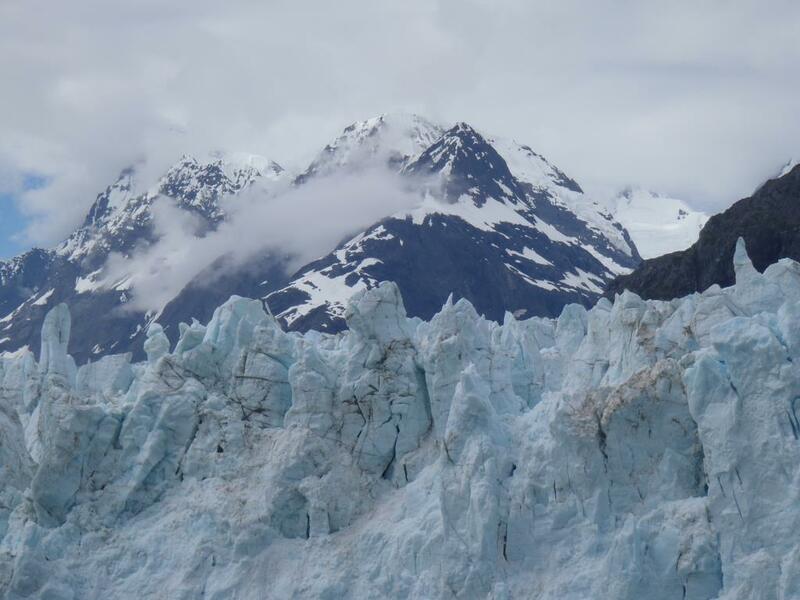 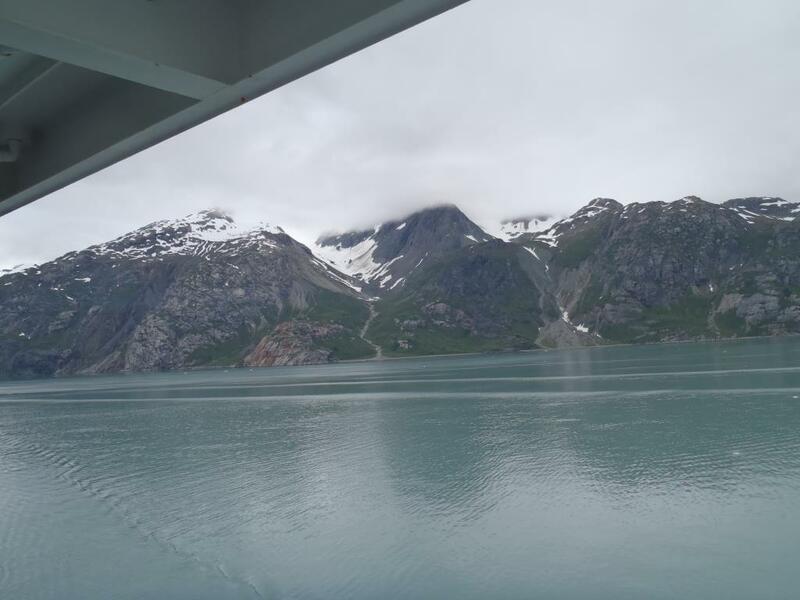 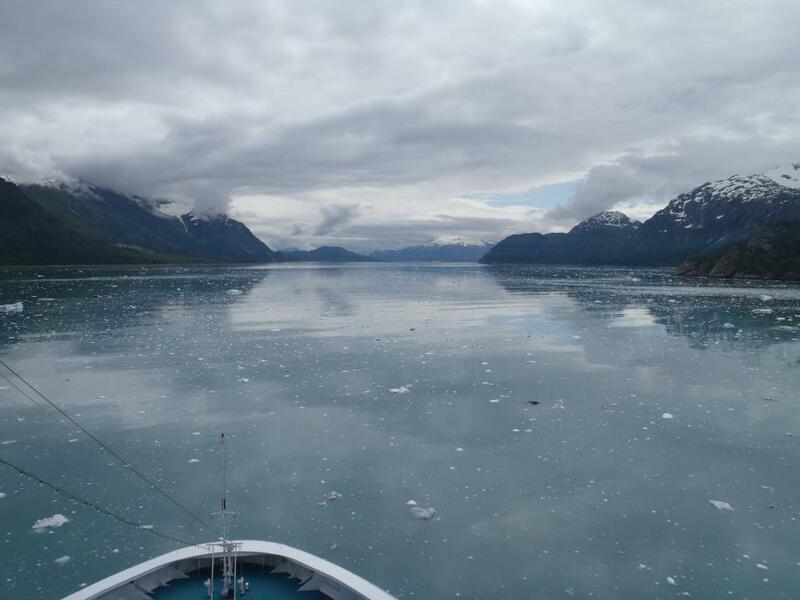 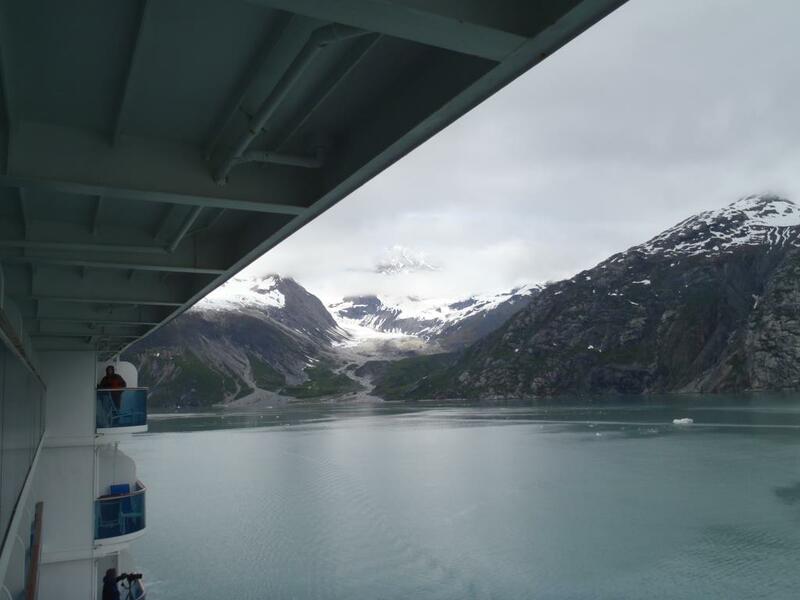 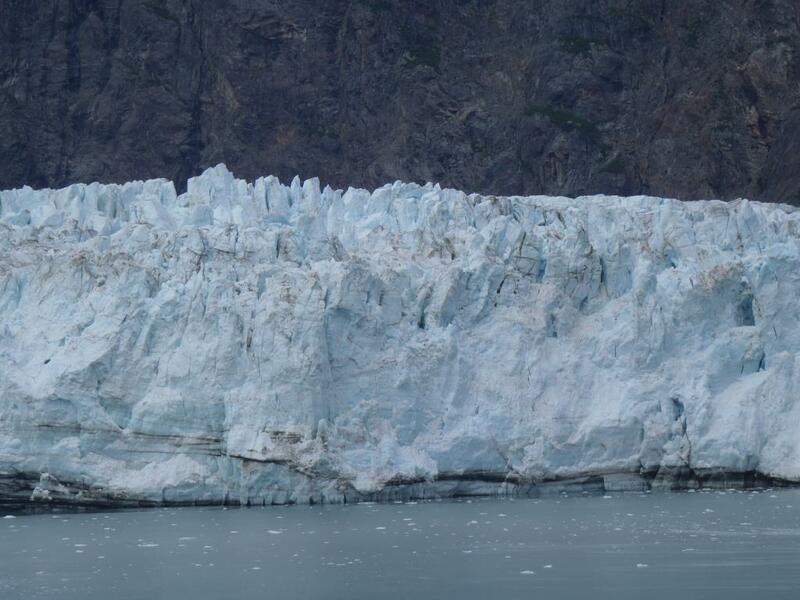 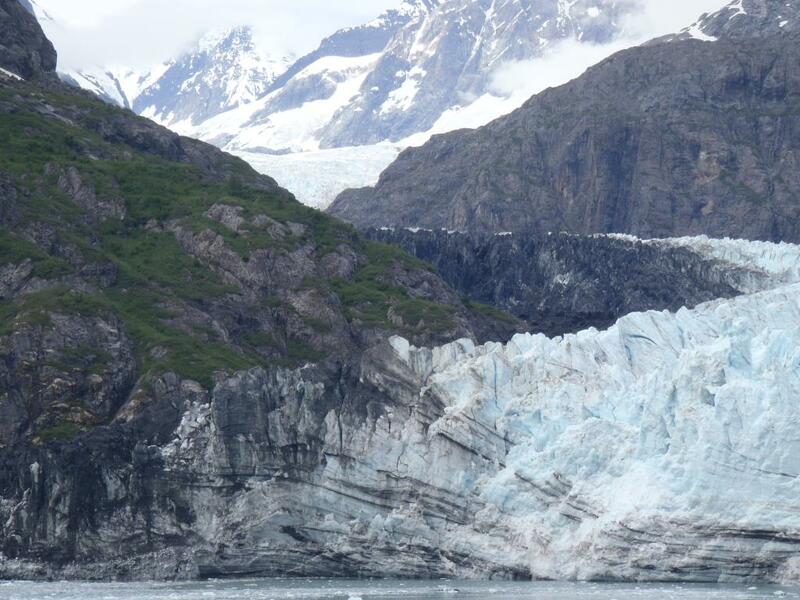 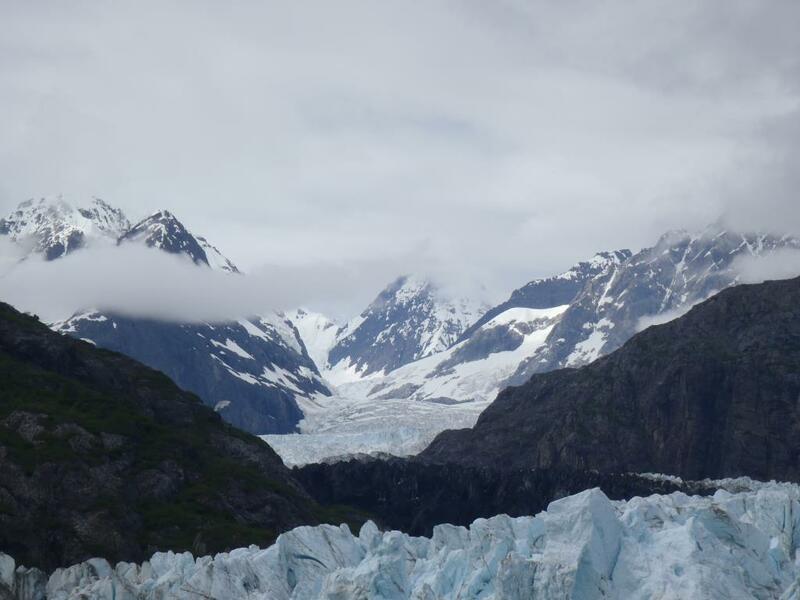 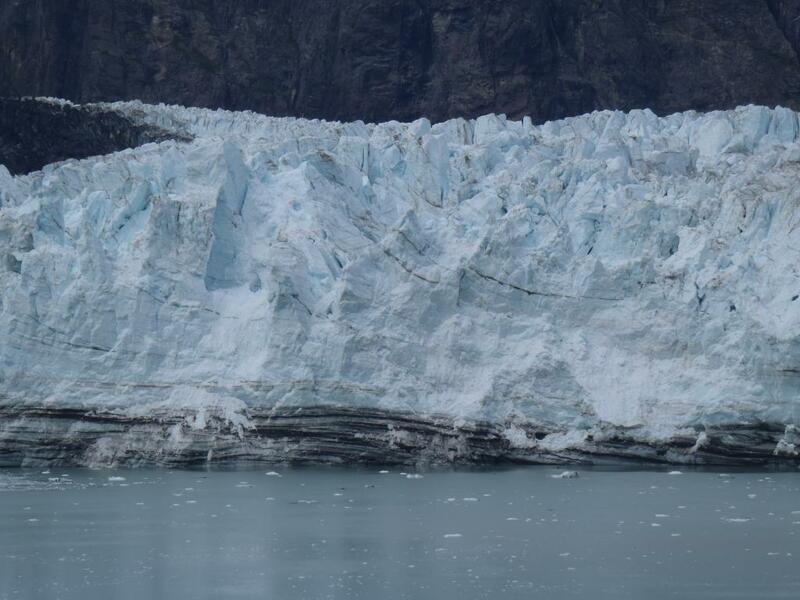 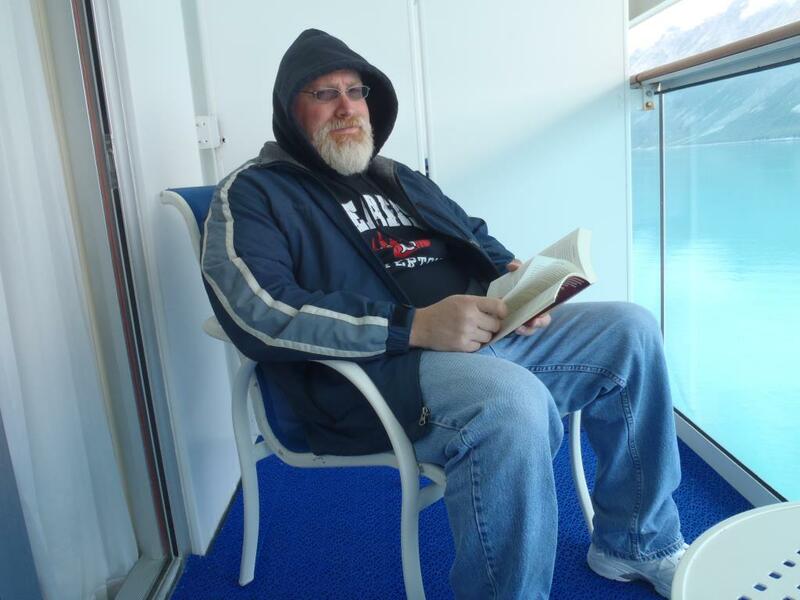 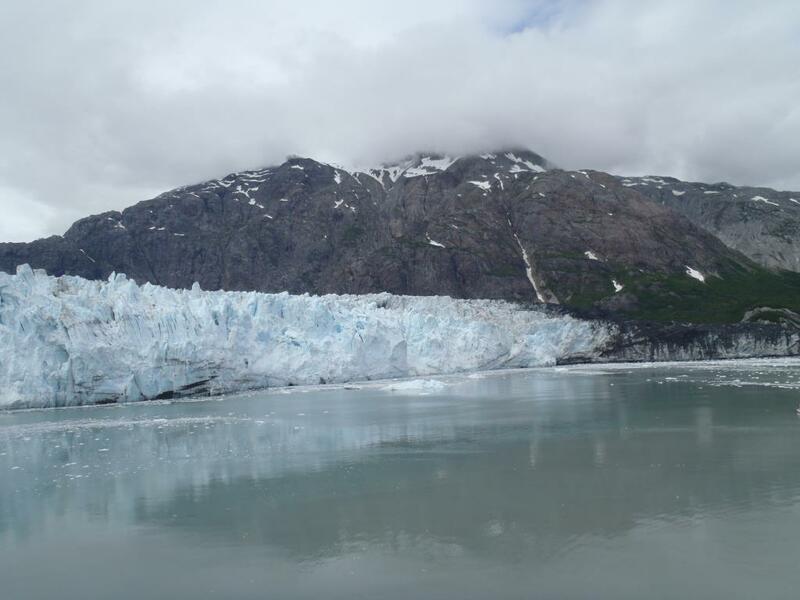 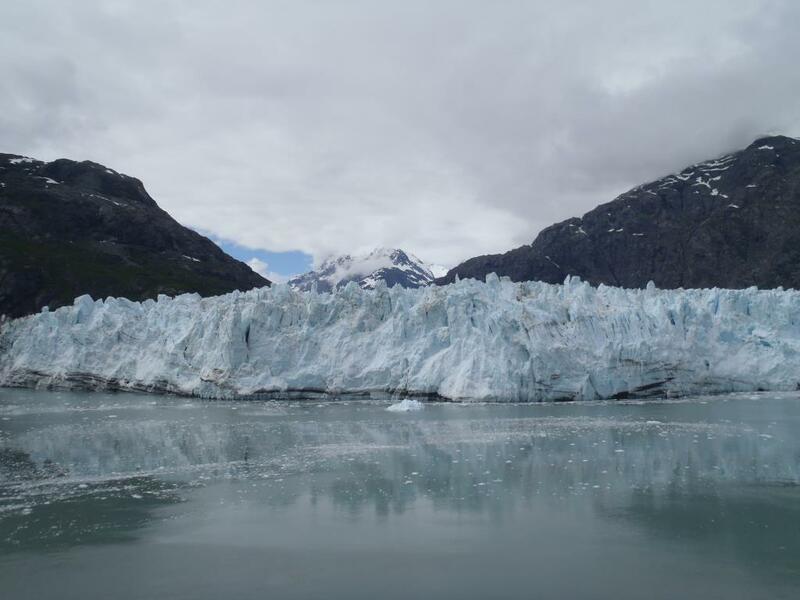 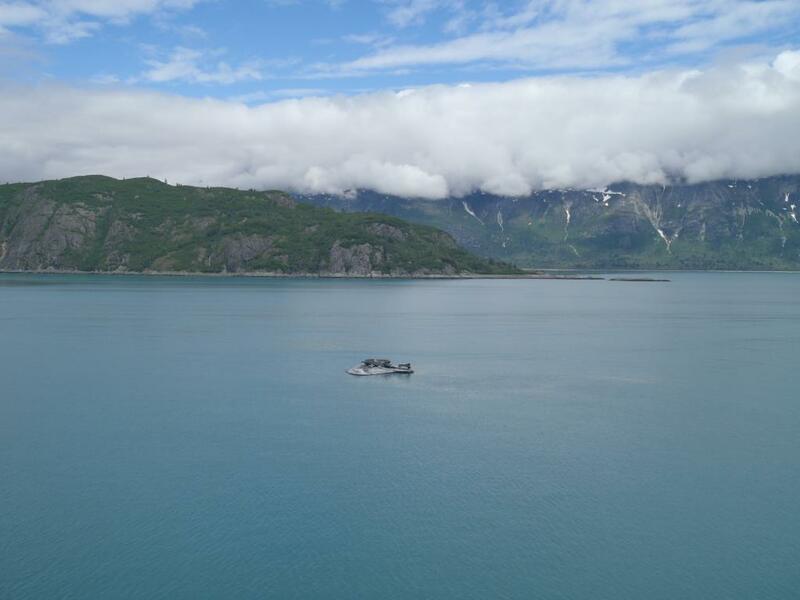 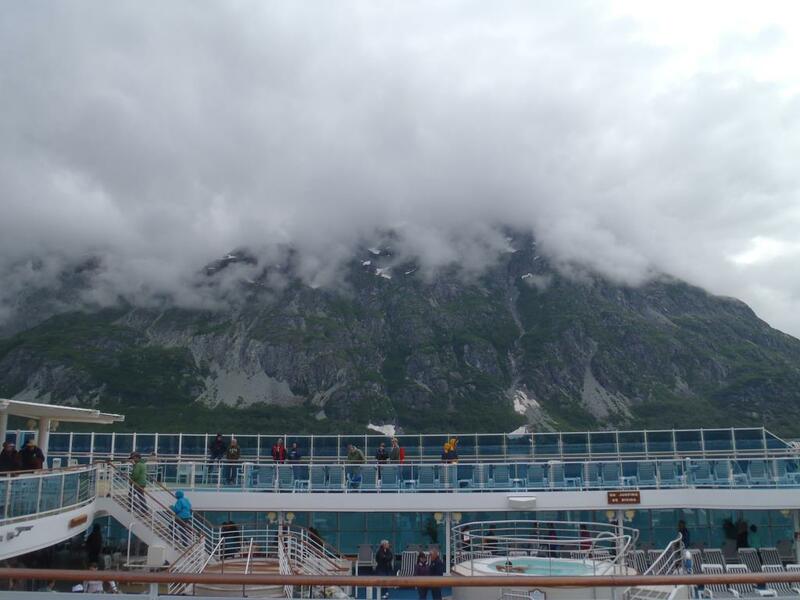 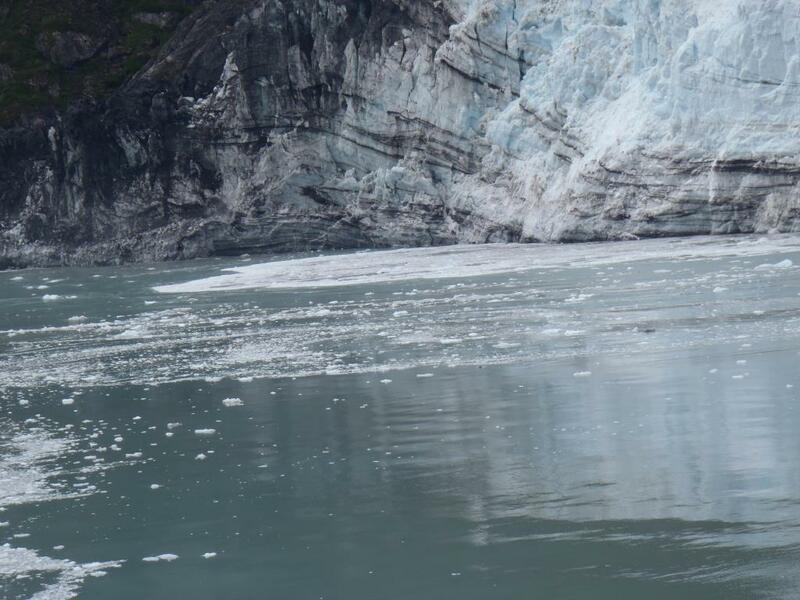 The rangers provided narration over the ship's PA system during the trip into the bay and once we had reached the glaciers. 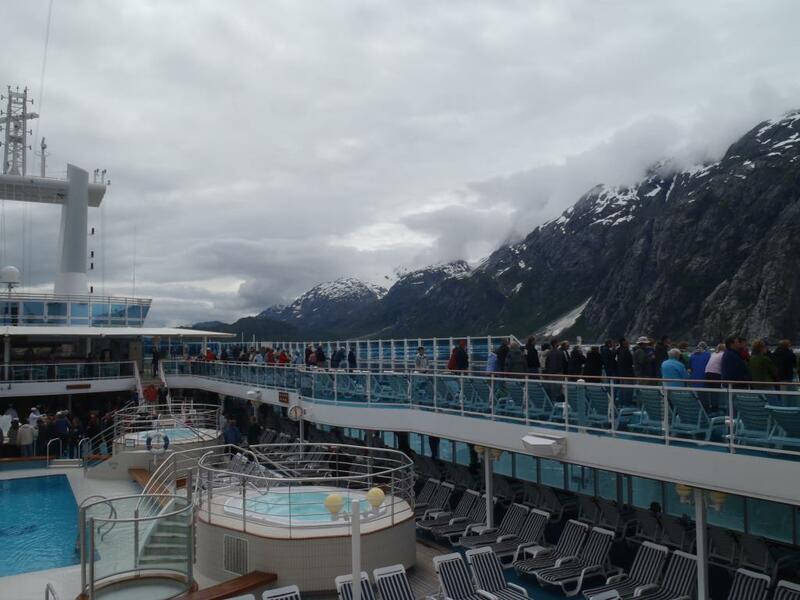 They were also on deck to answer questions from the passengers. 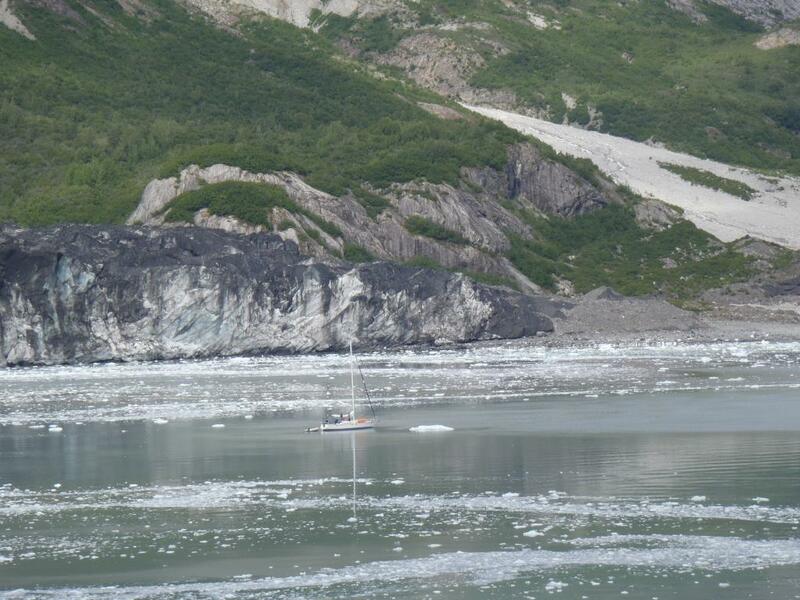 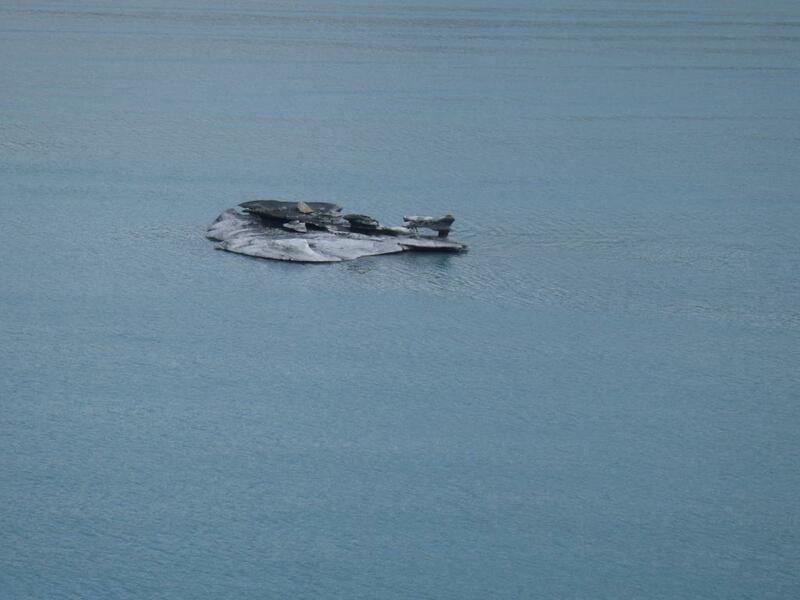 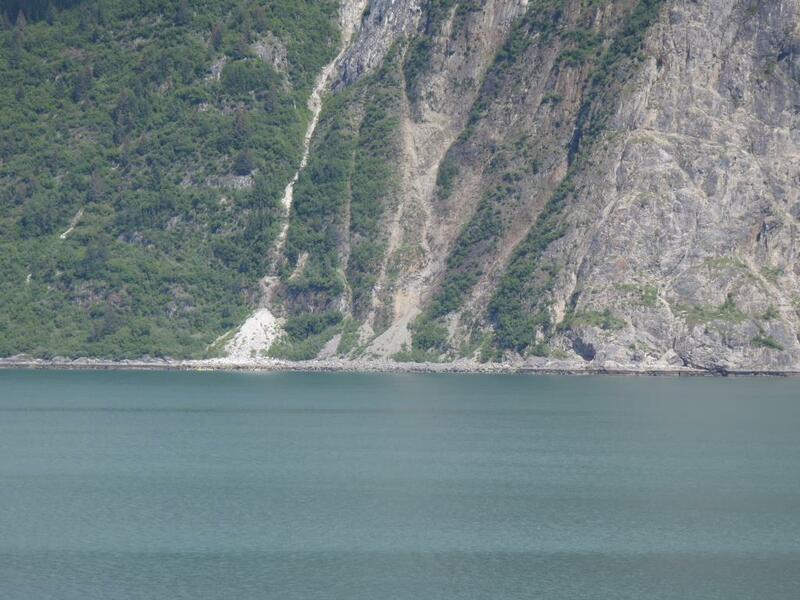 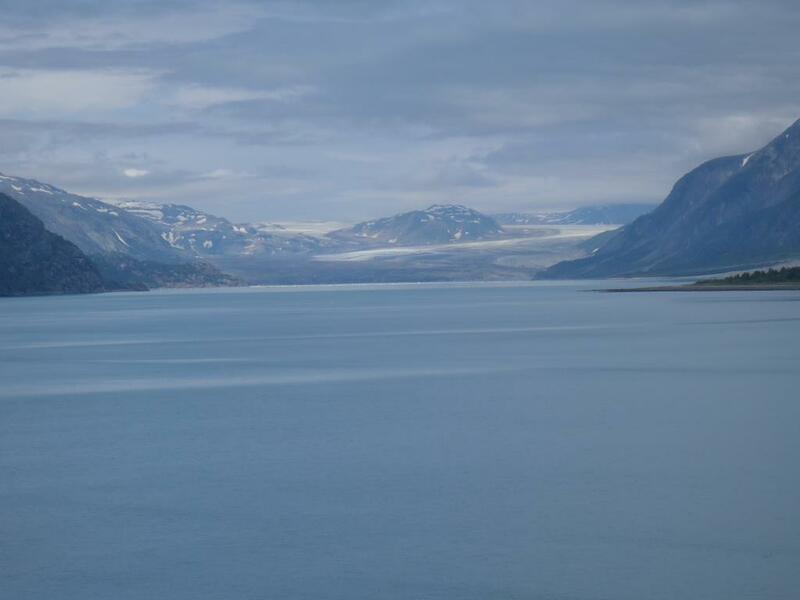 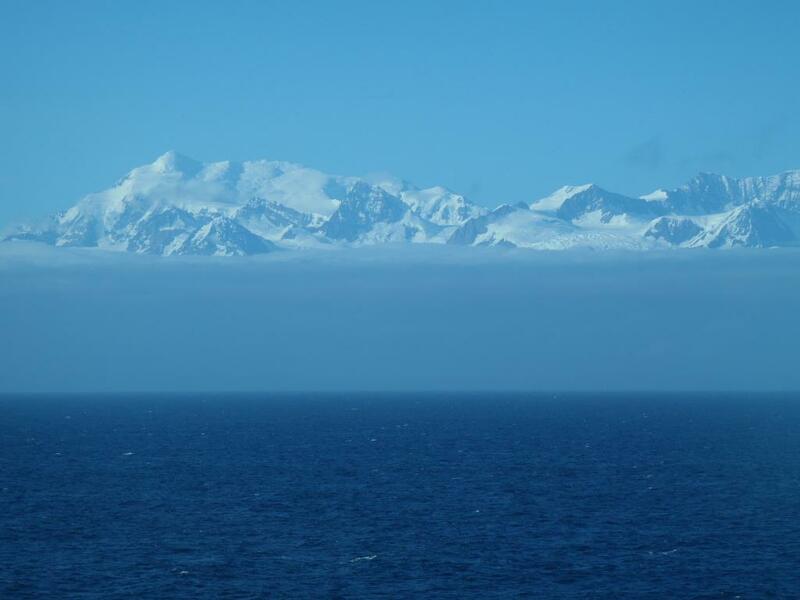 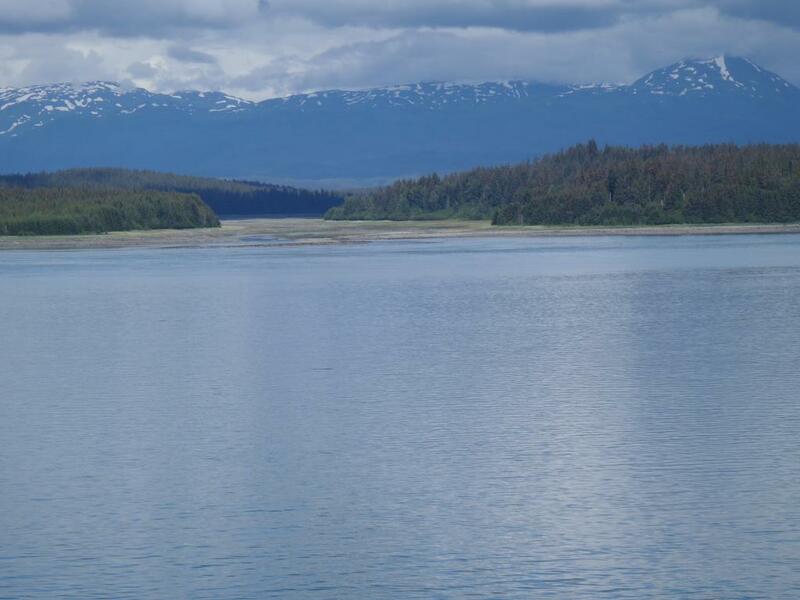 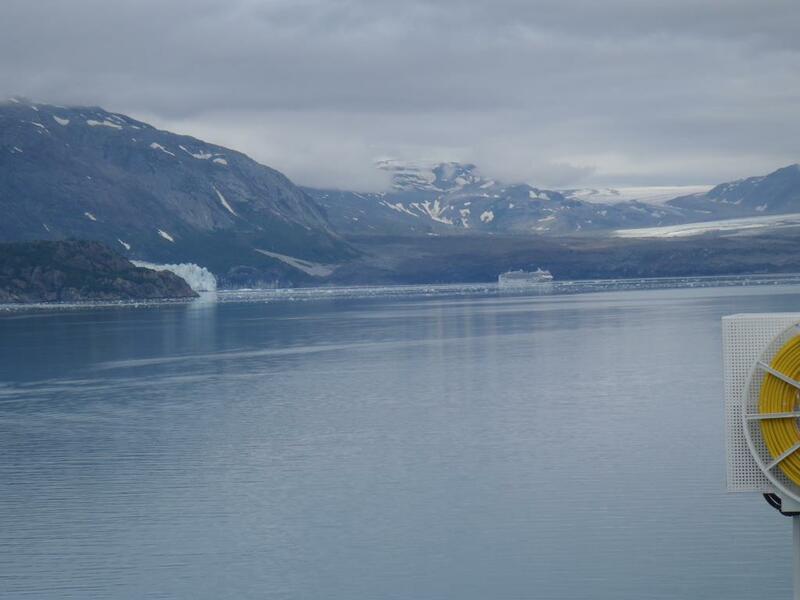 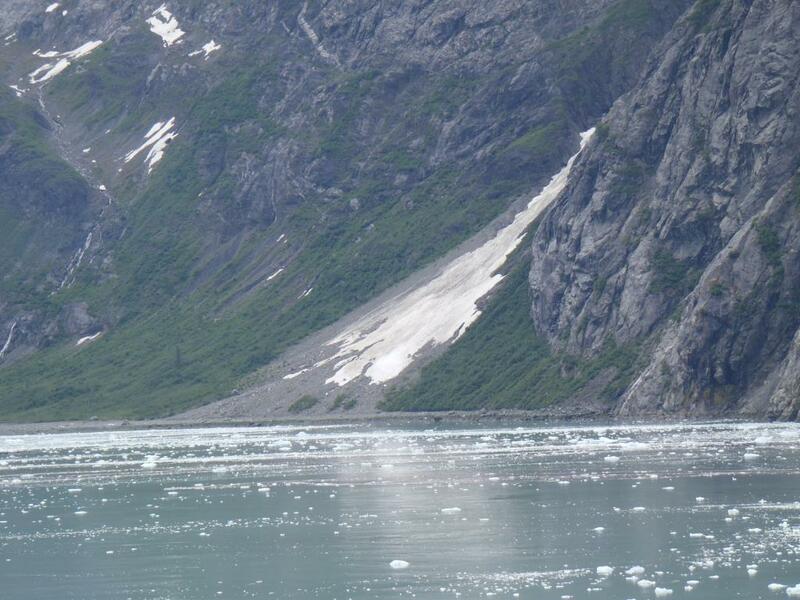 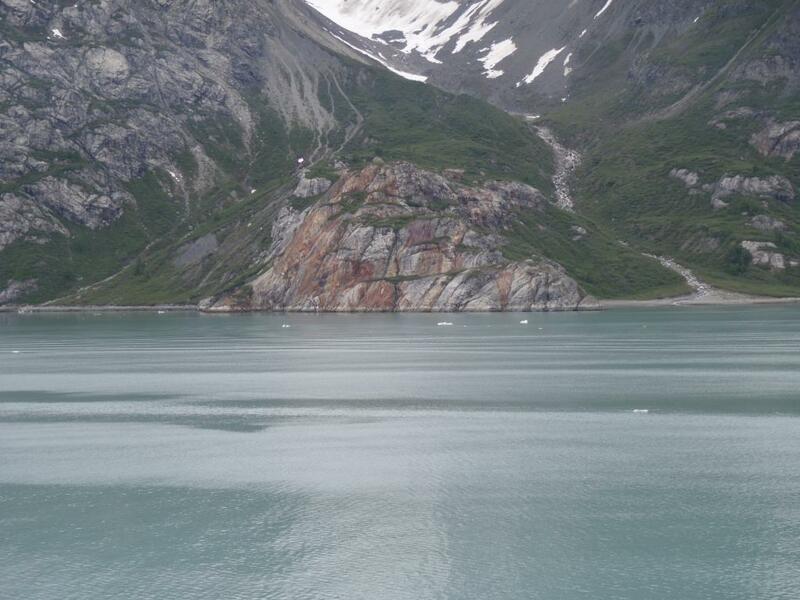 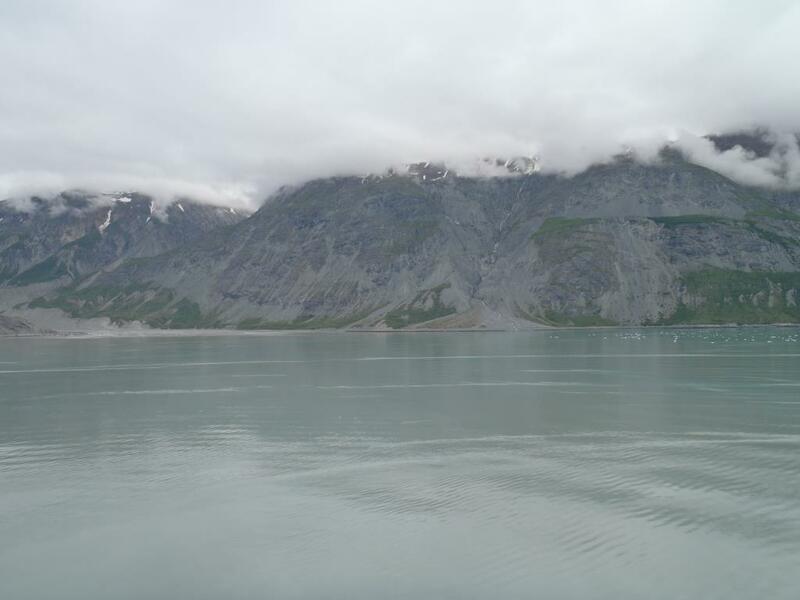 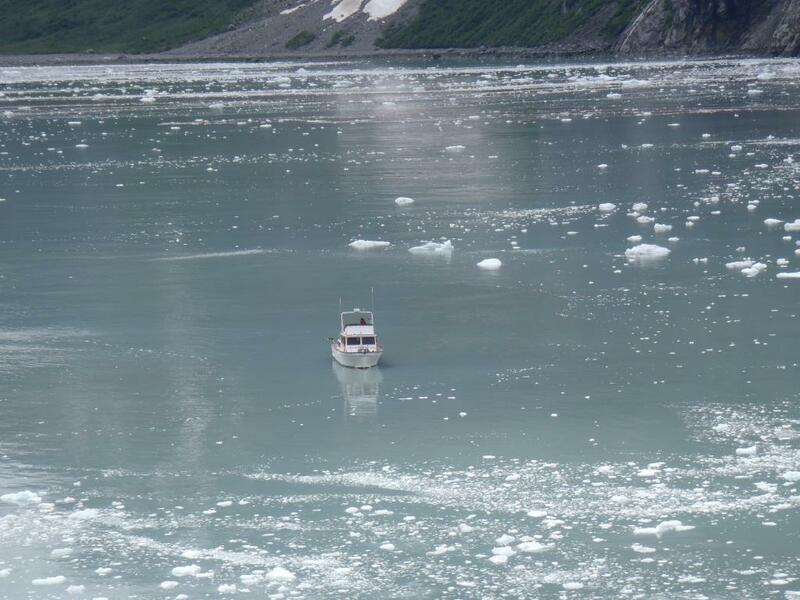 Once we reach our target glacier (there are several within the bay) the shipped remained there for about an hour. 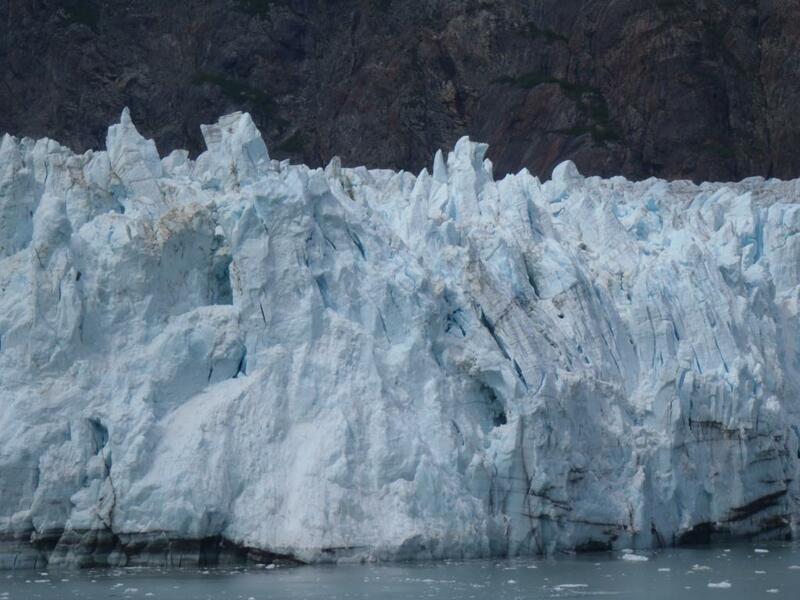 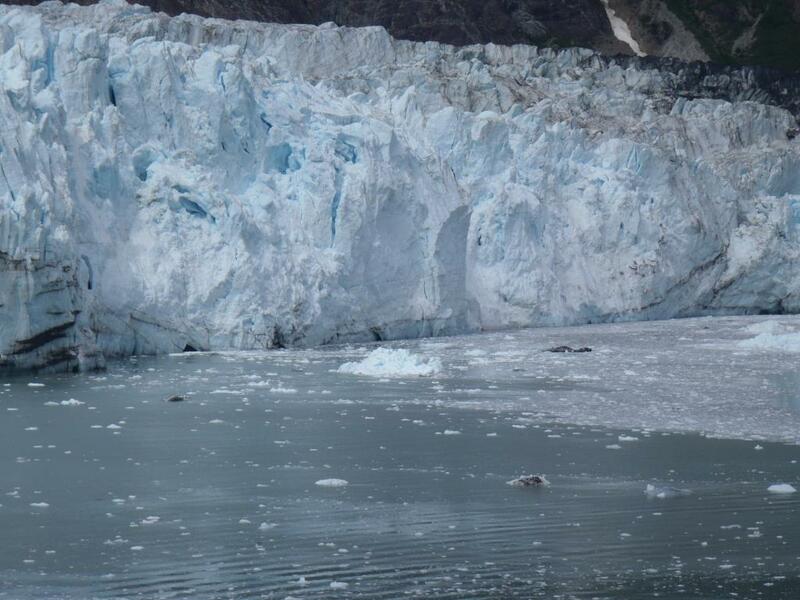 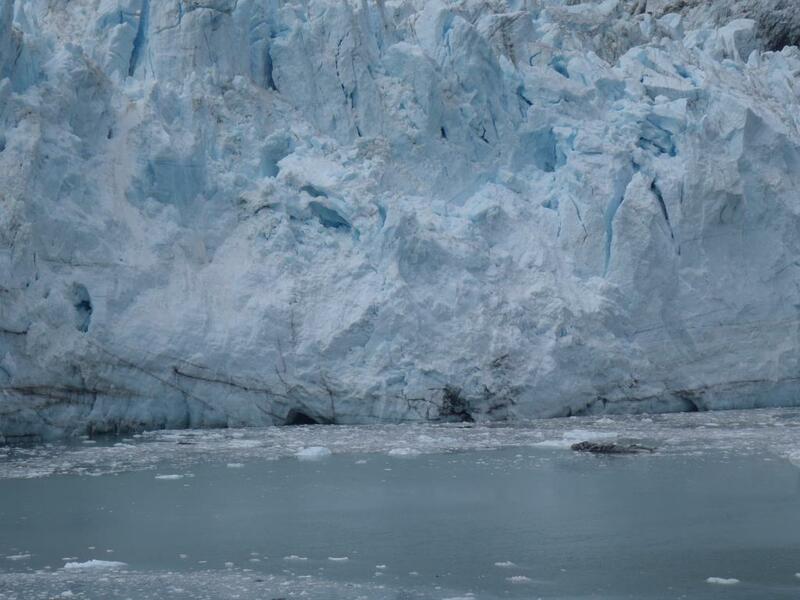 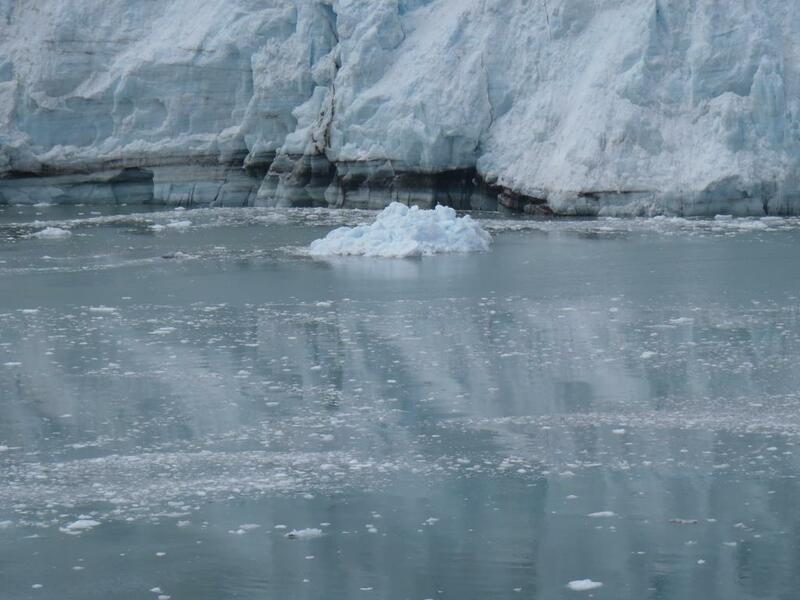 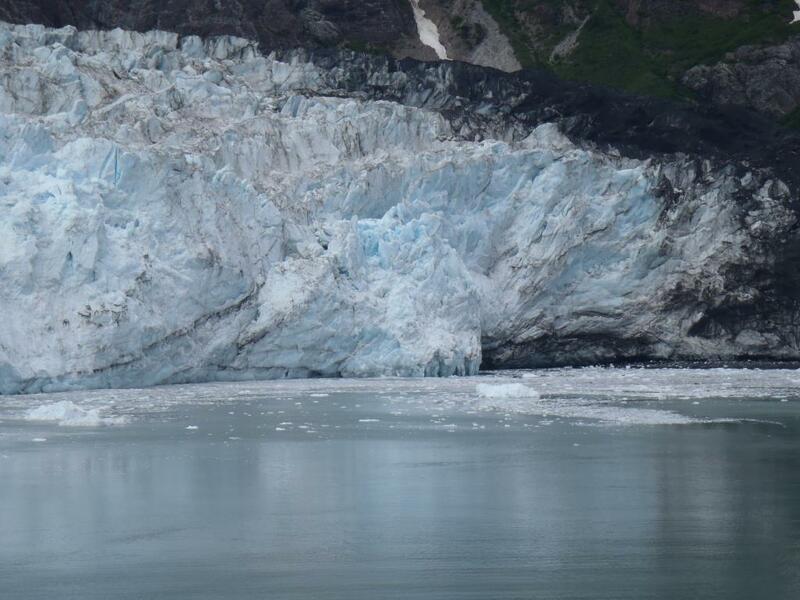 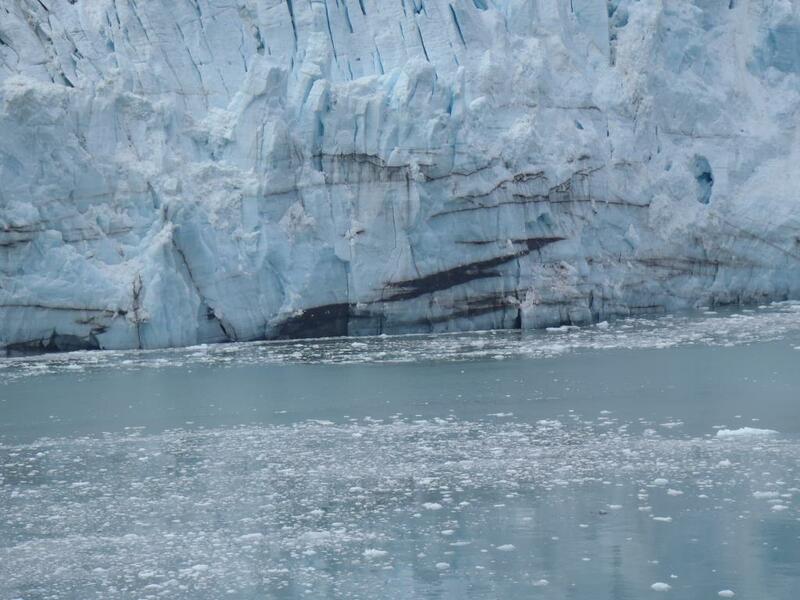 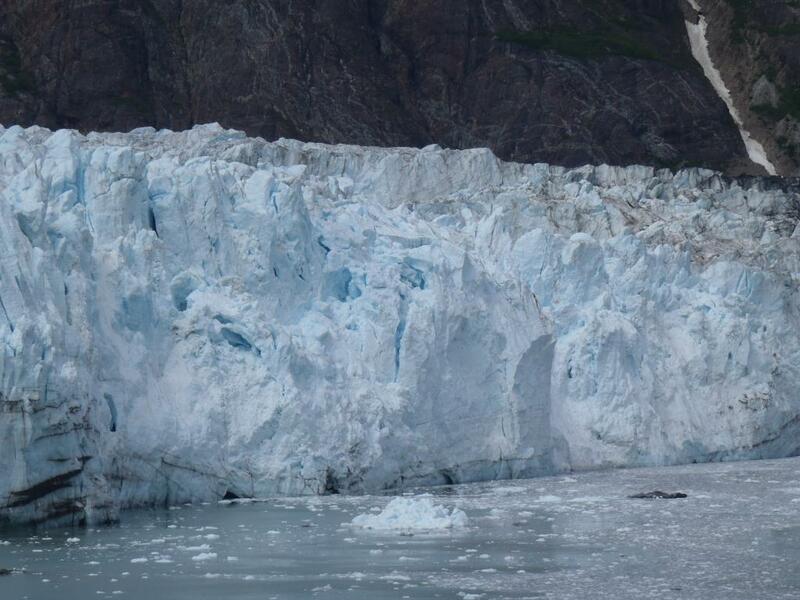 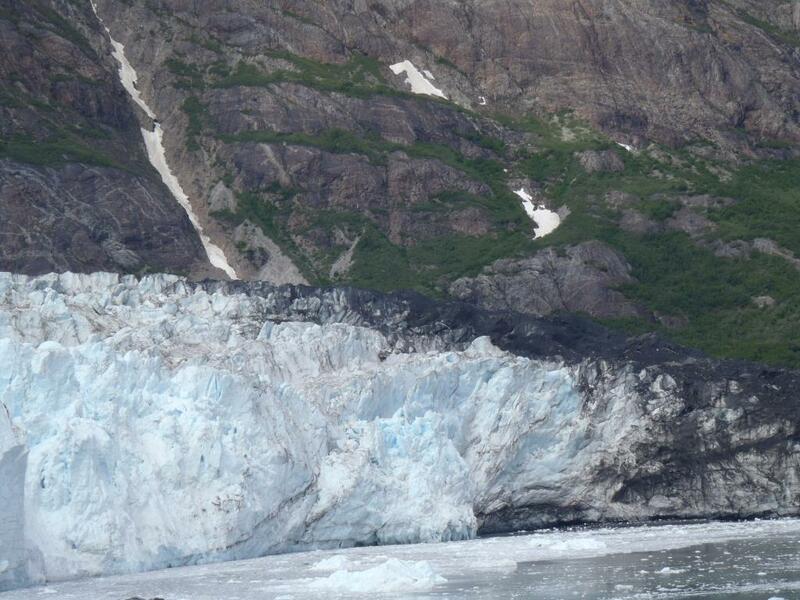 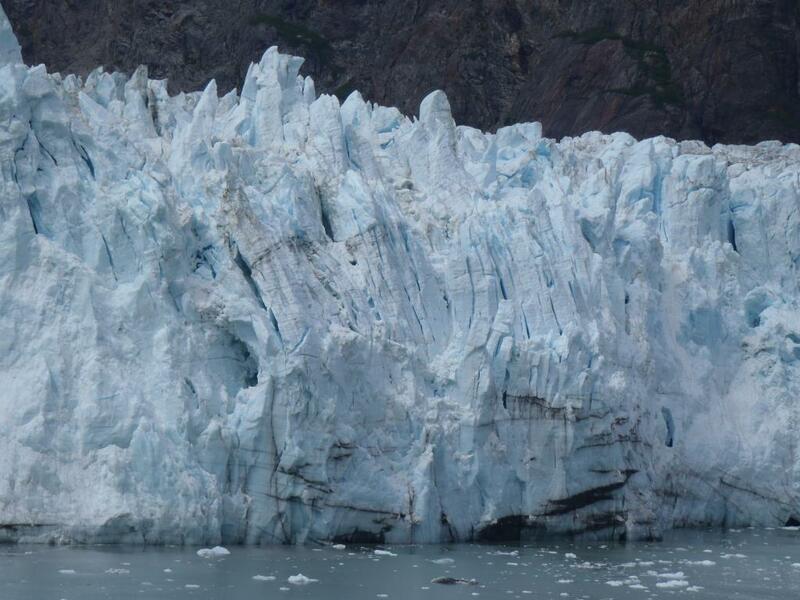 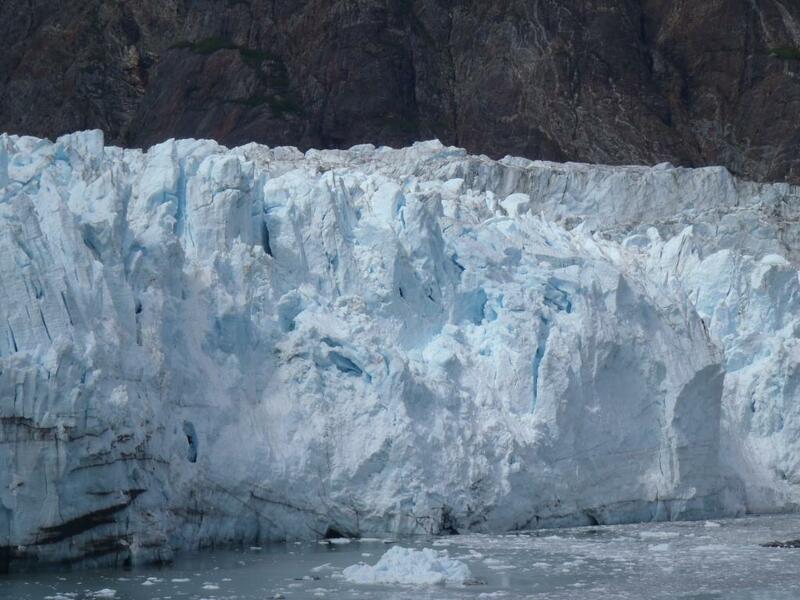 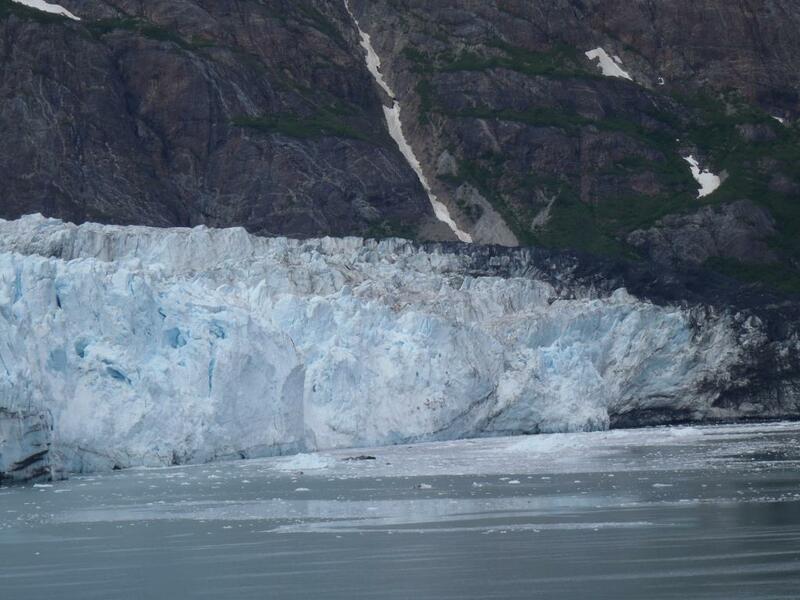 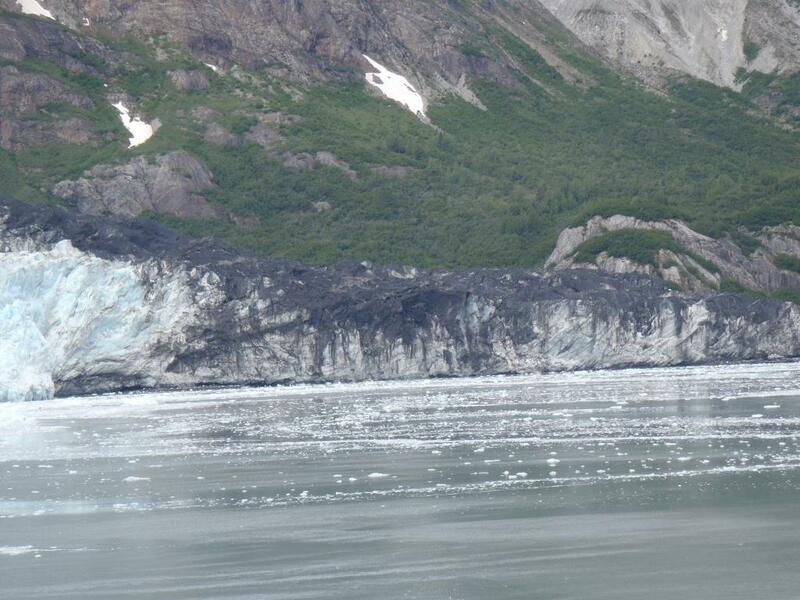 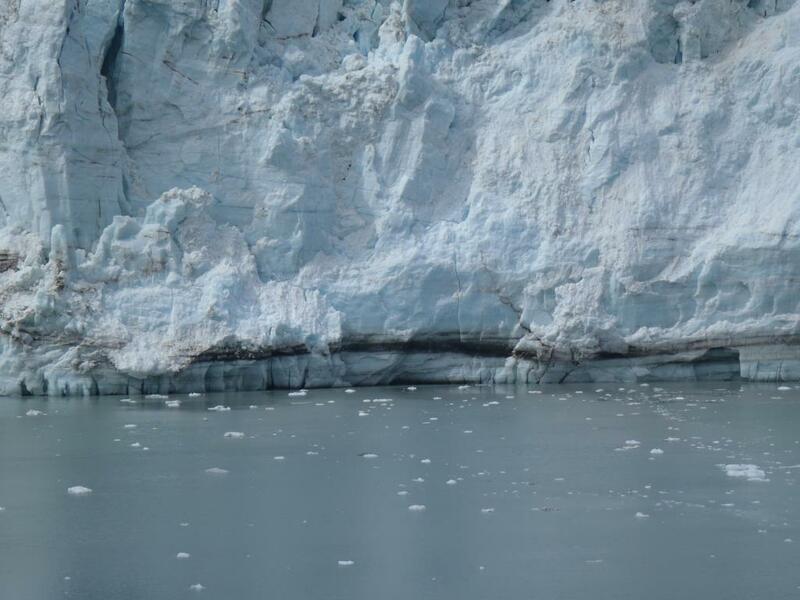 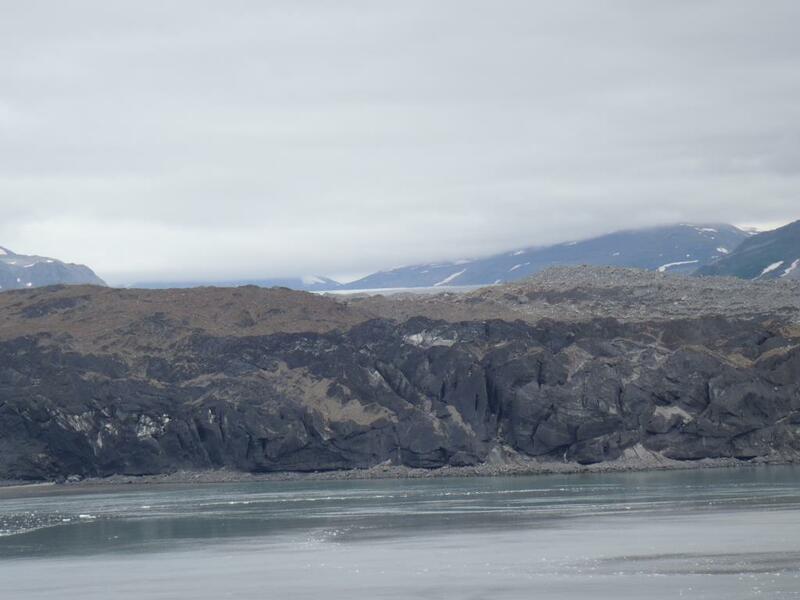 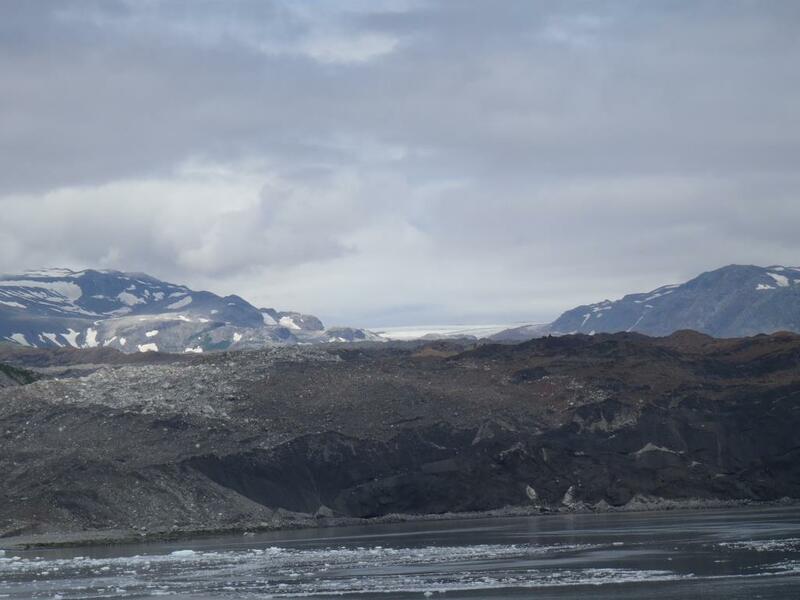 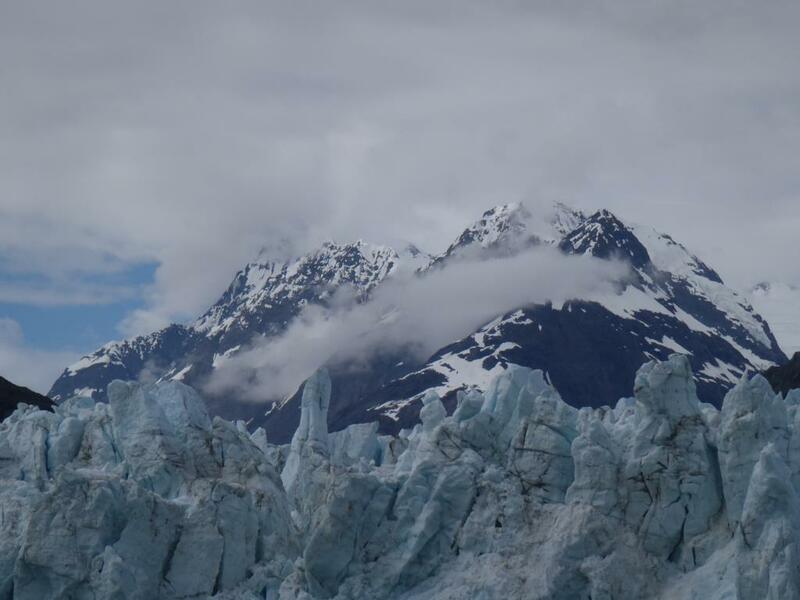 We were able to see some calving of the glacier, including one very large chunk of ice that came off. 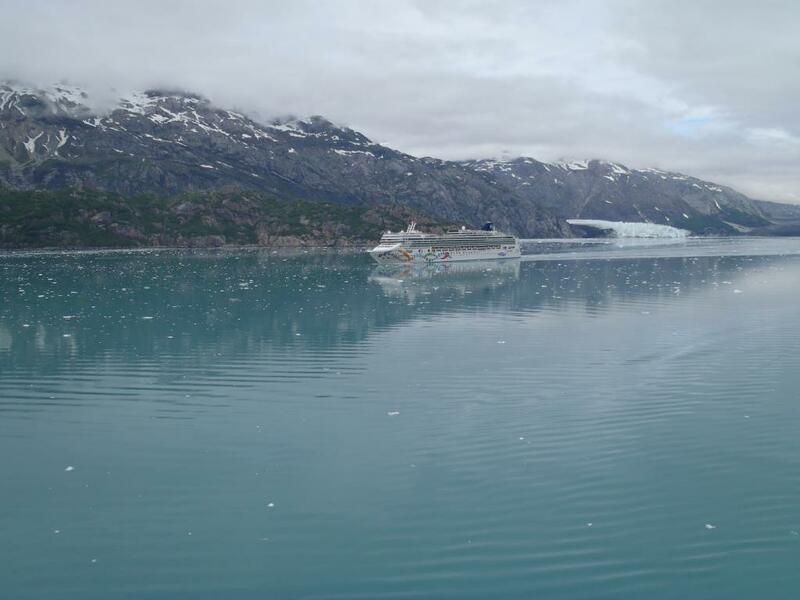 Again, too fast for my camera to pick up. 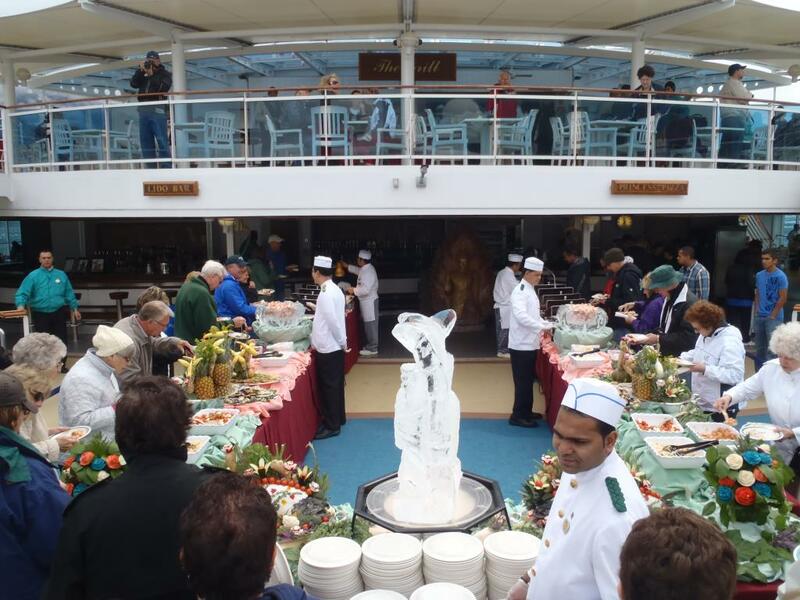 Midday the ship served a buffet lunch out on deck, consisting of several Alaskan seafood dishes.